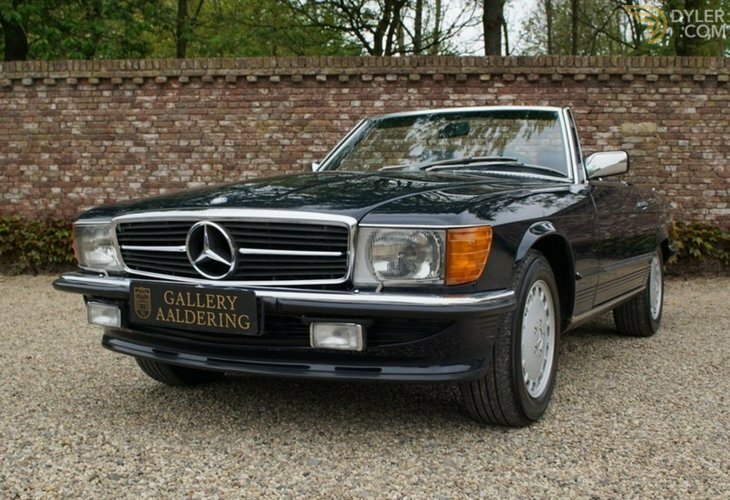 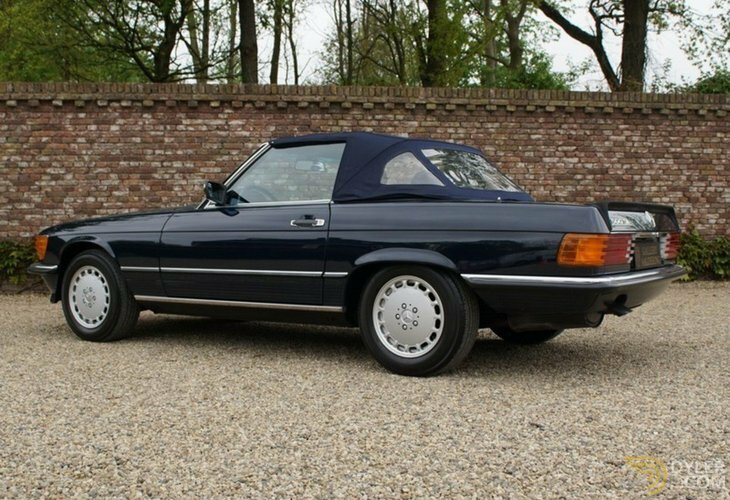 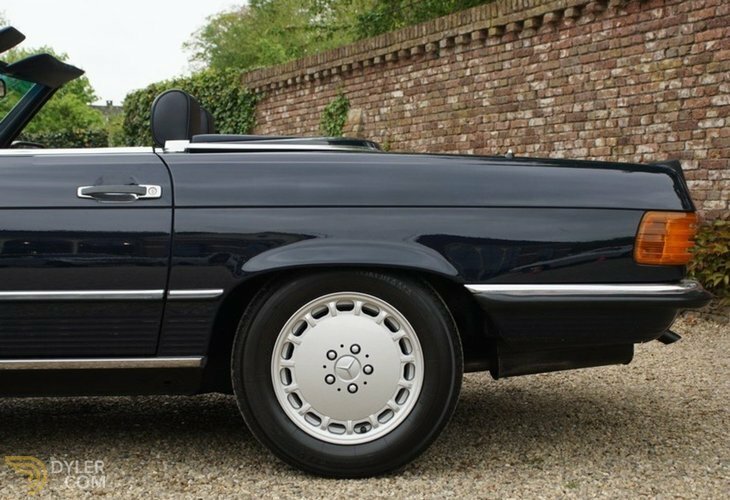 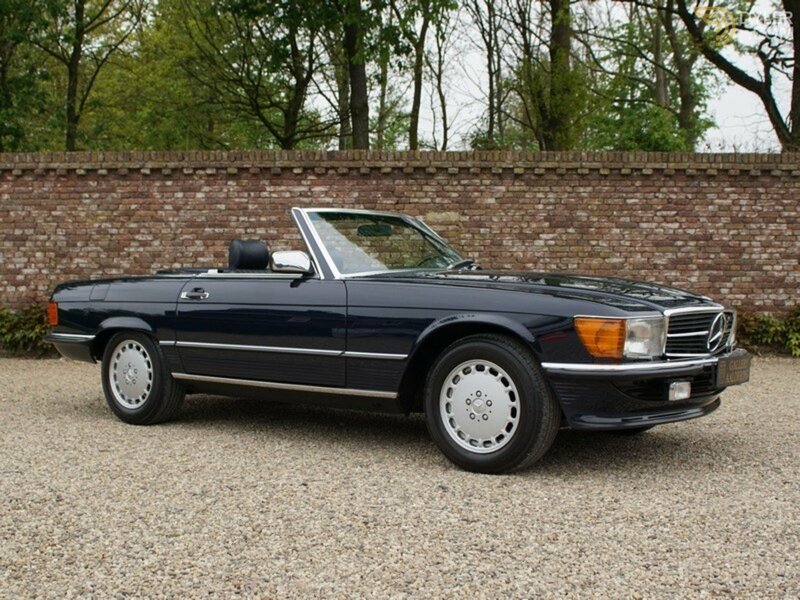 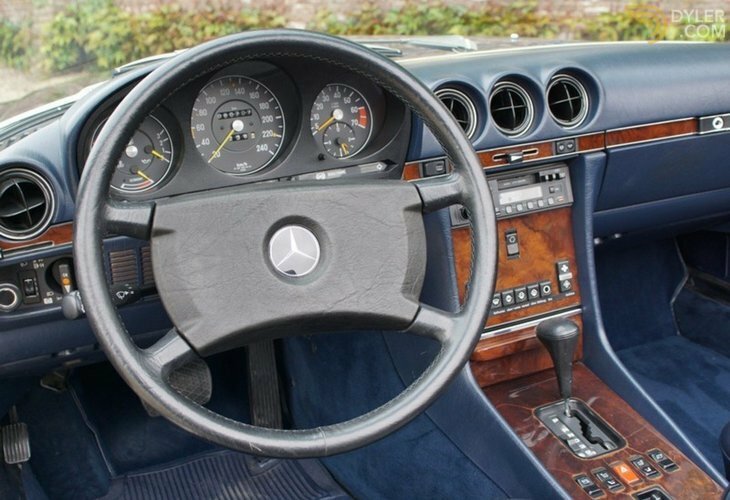 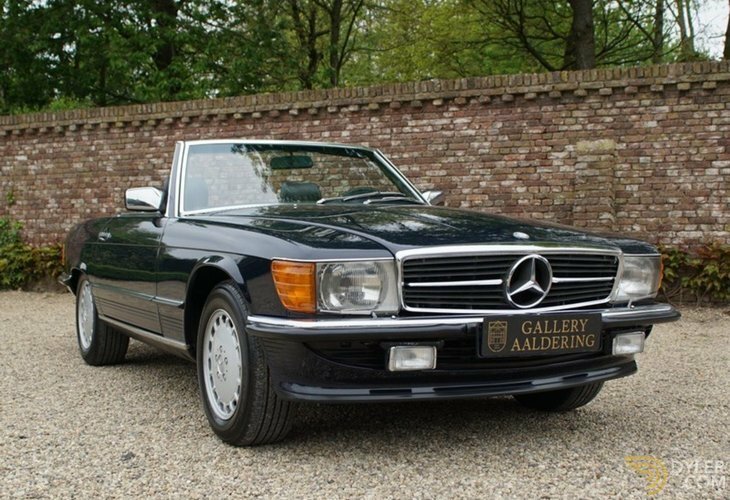 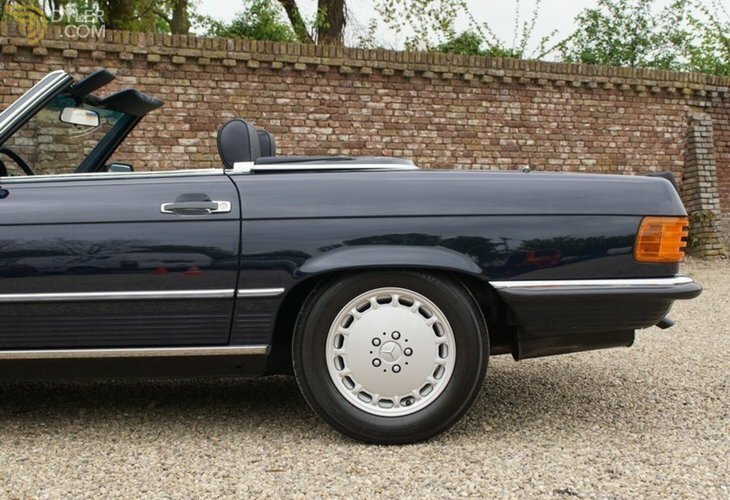 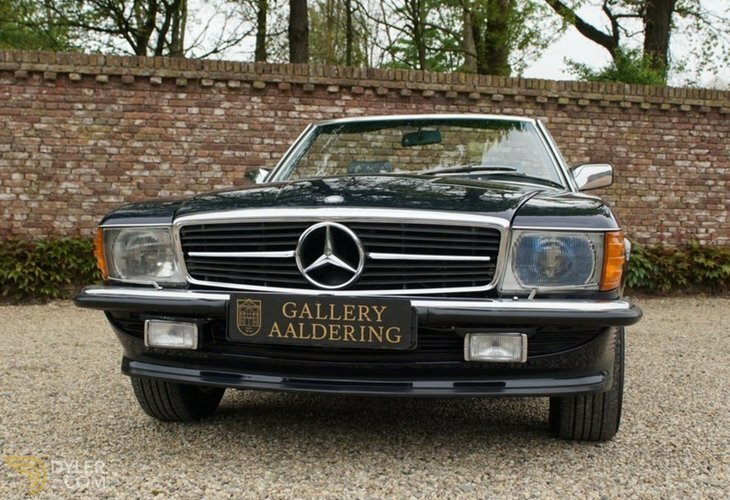 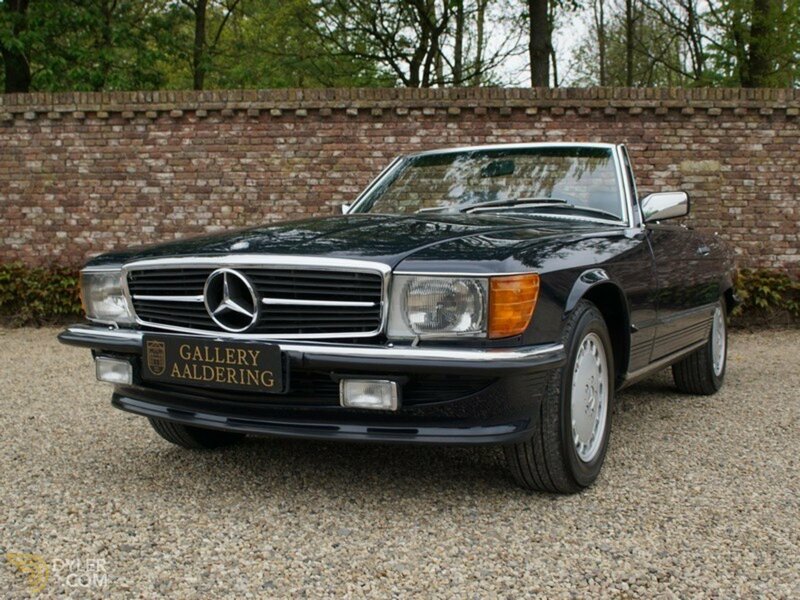 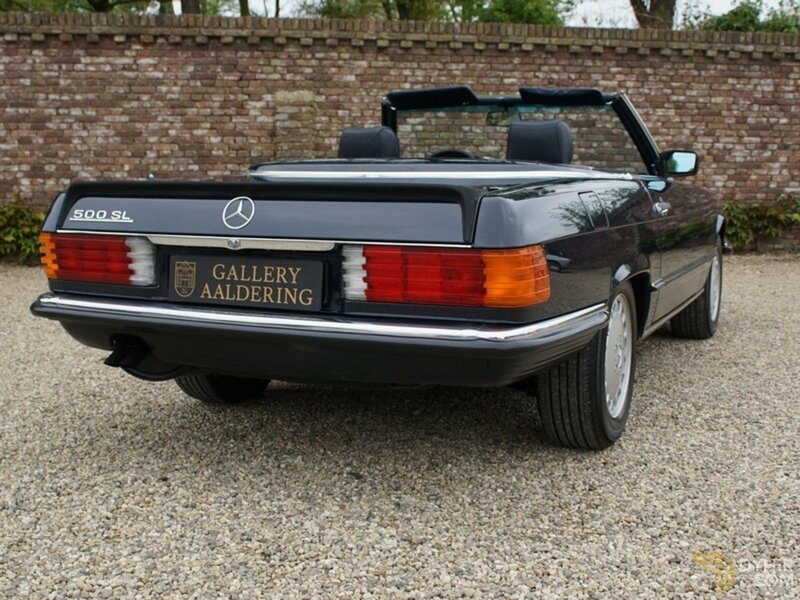 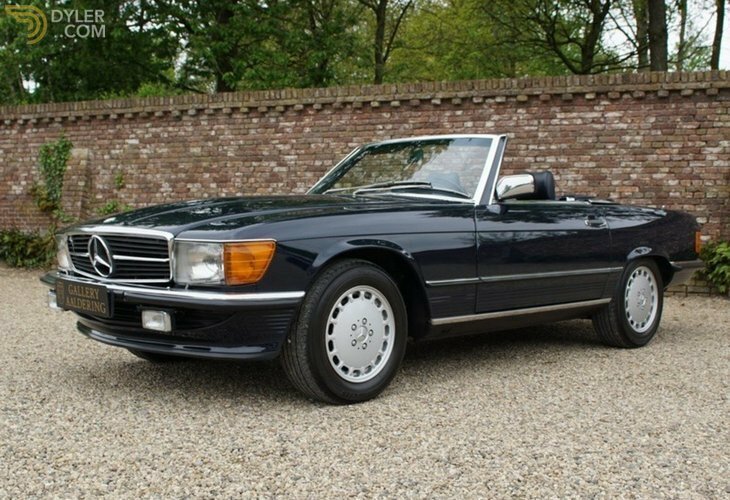 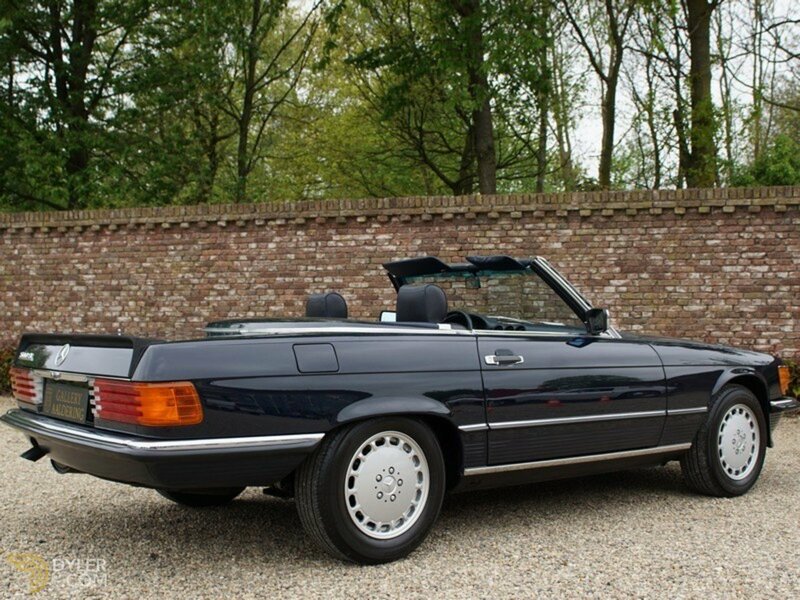 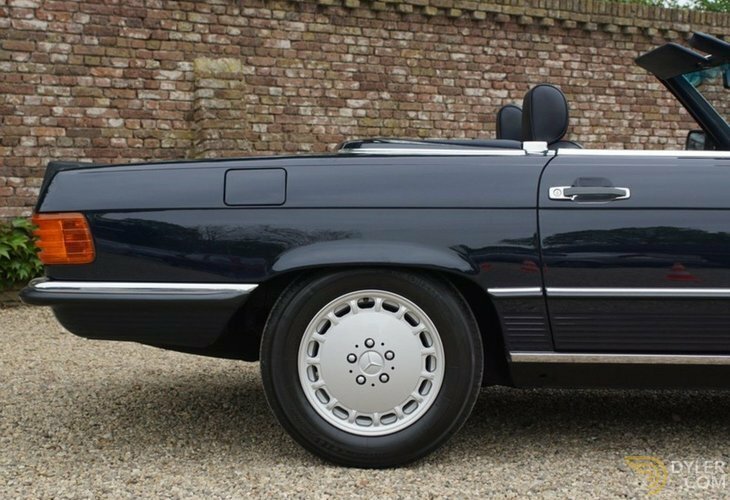 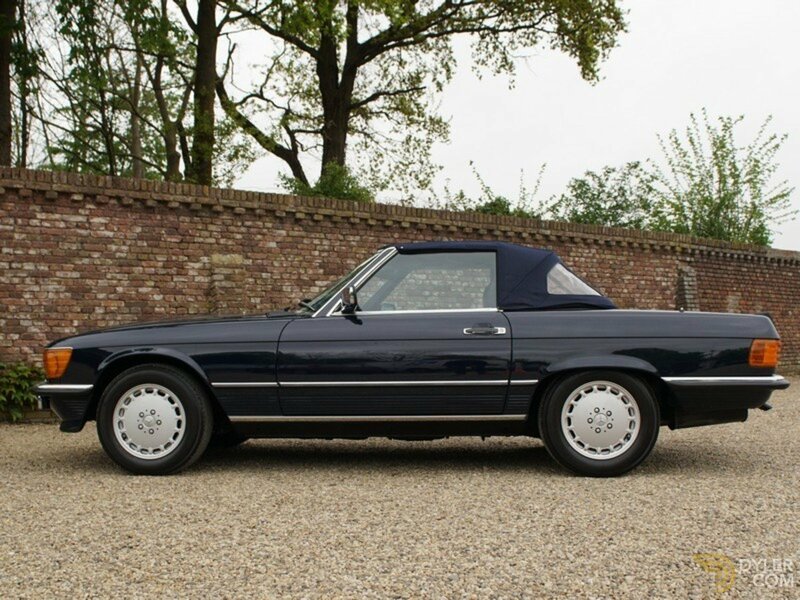 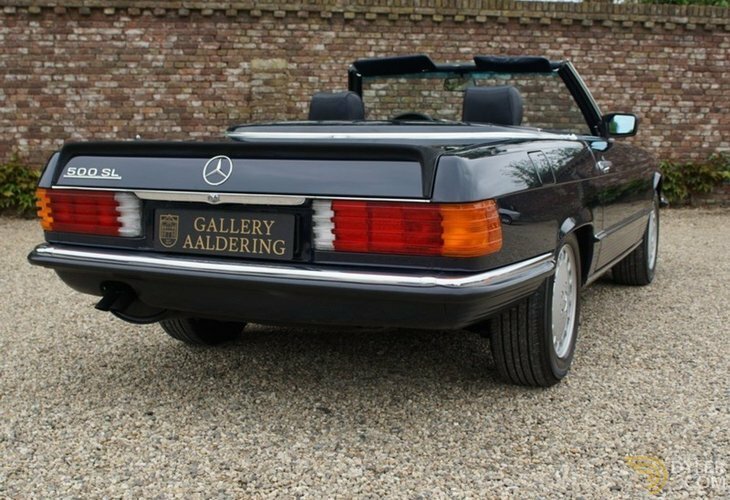 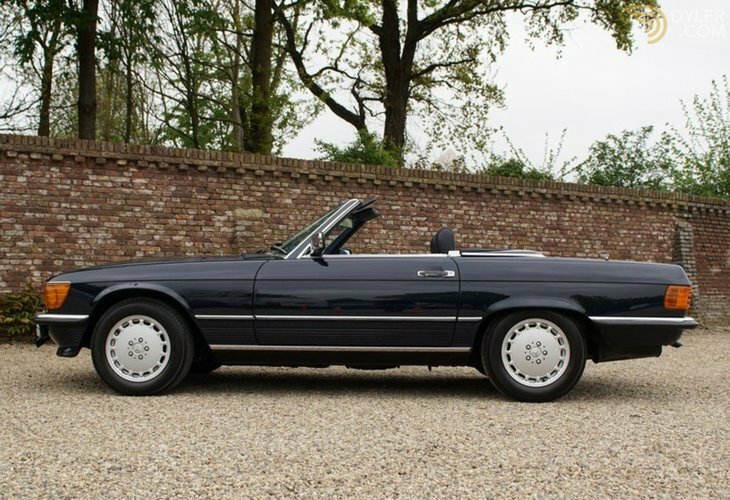 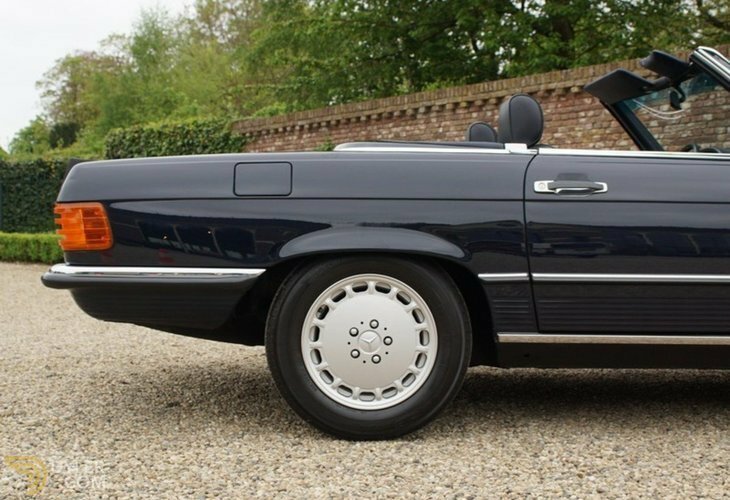 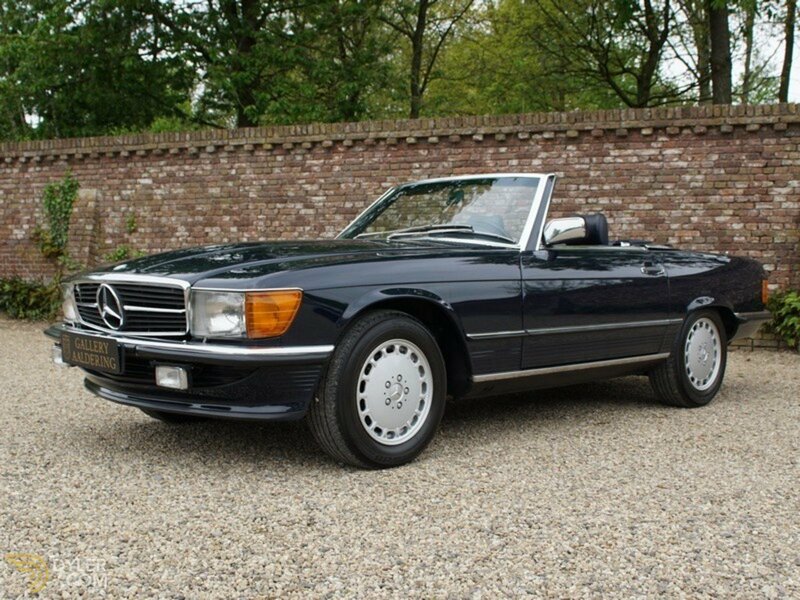 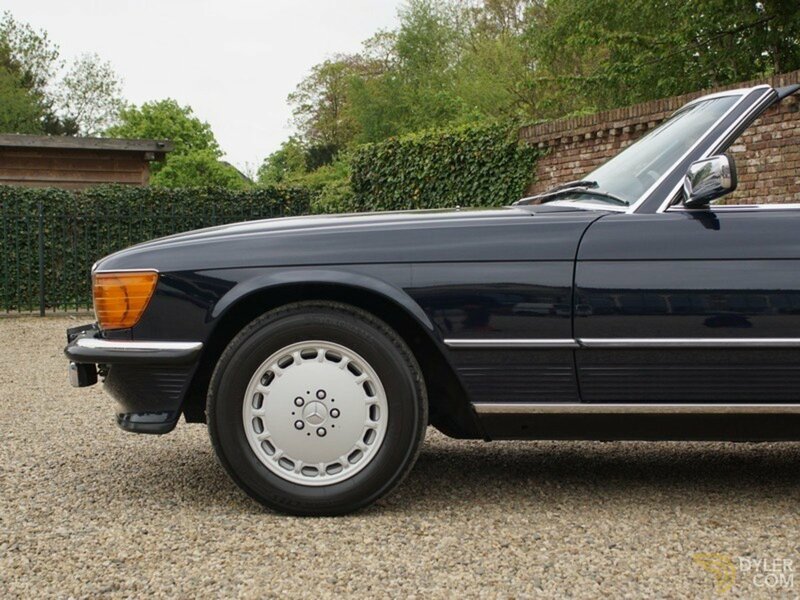 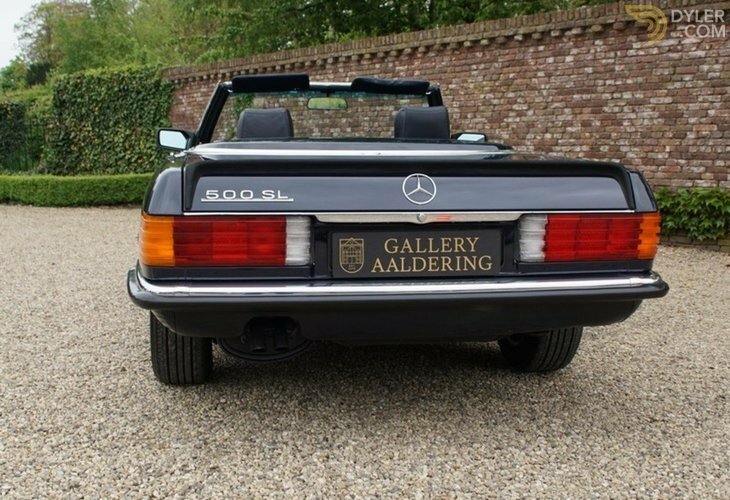 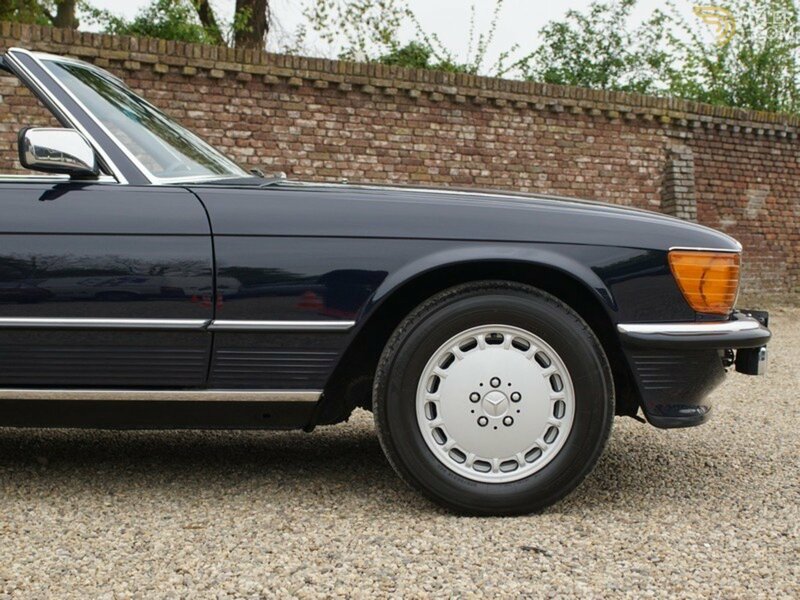 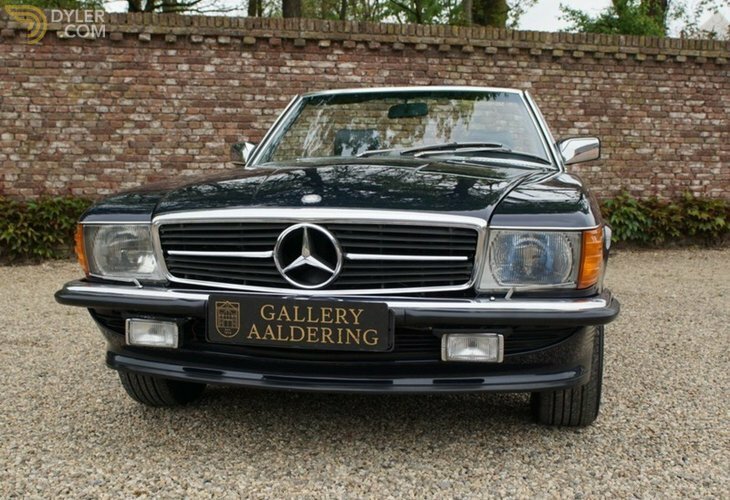 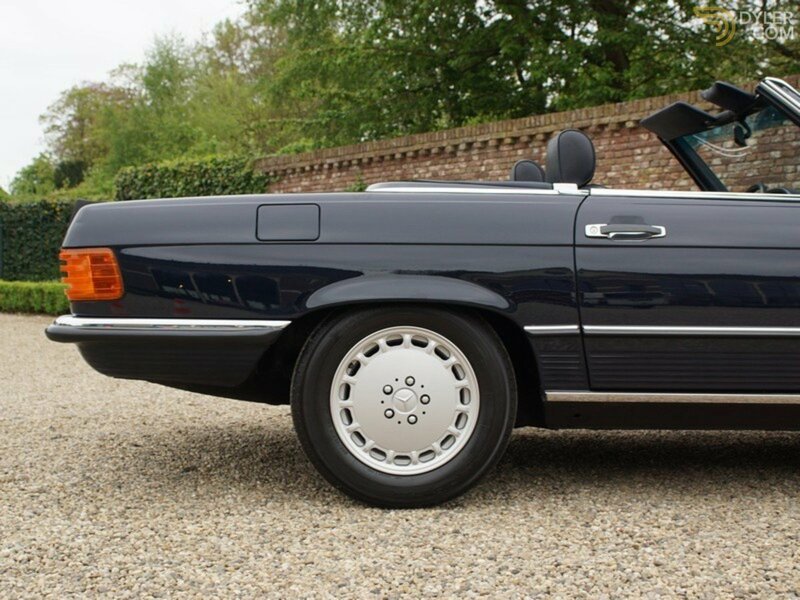 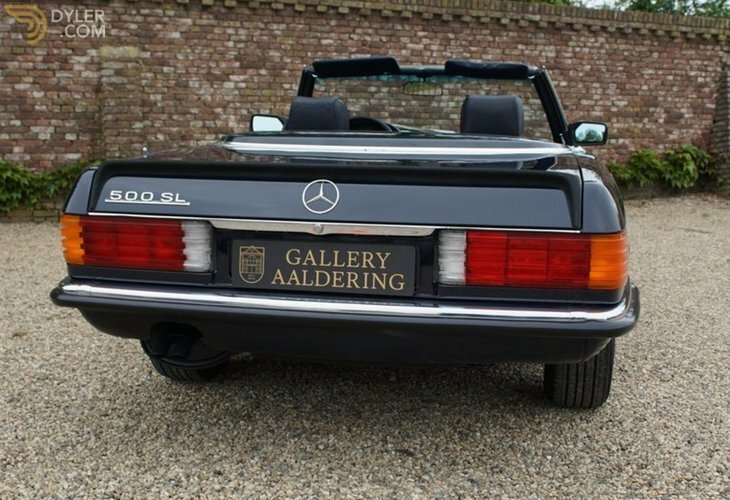 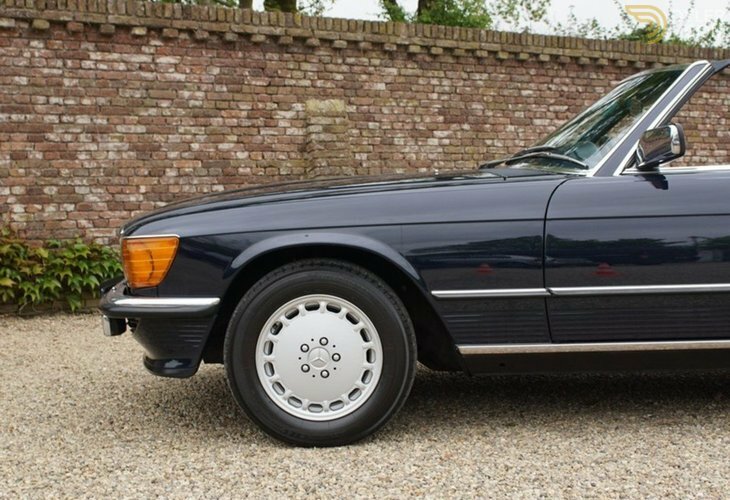 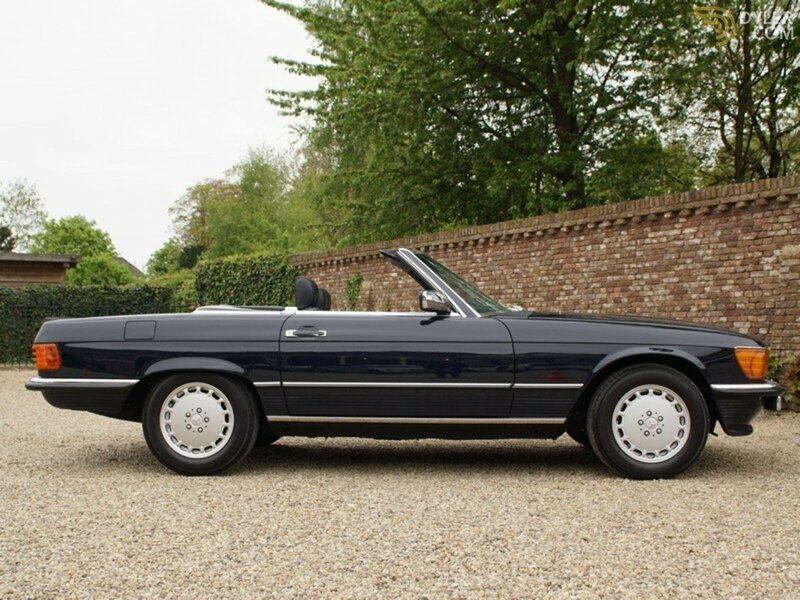 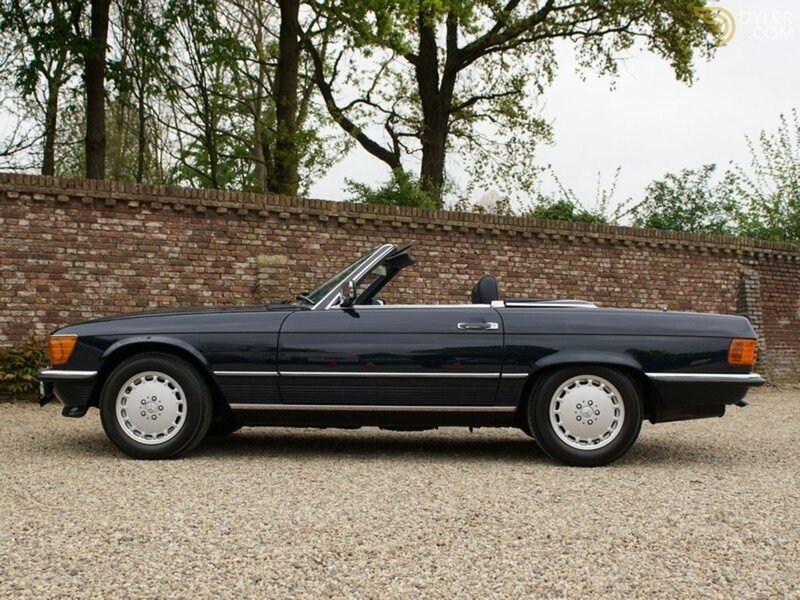 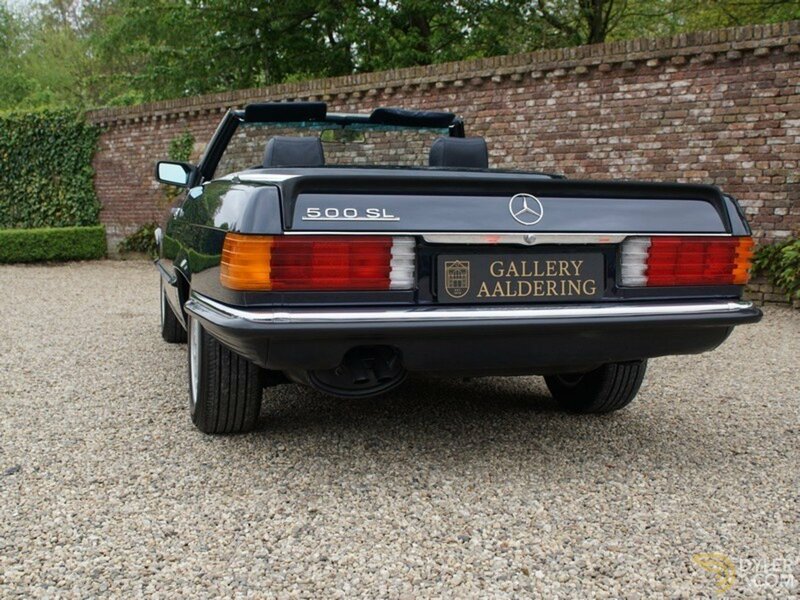 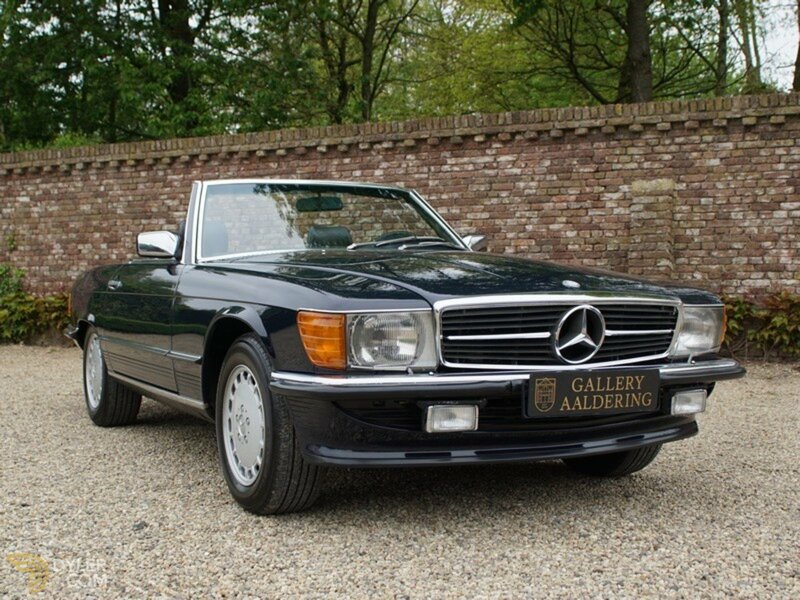 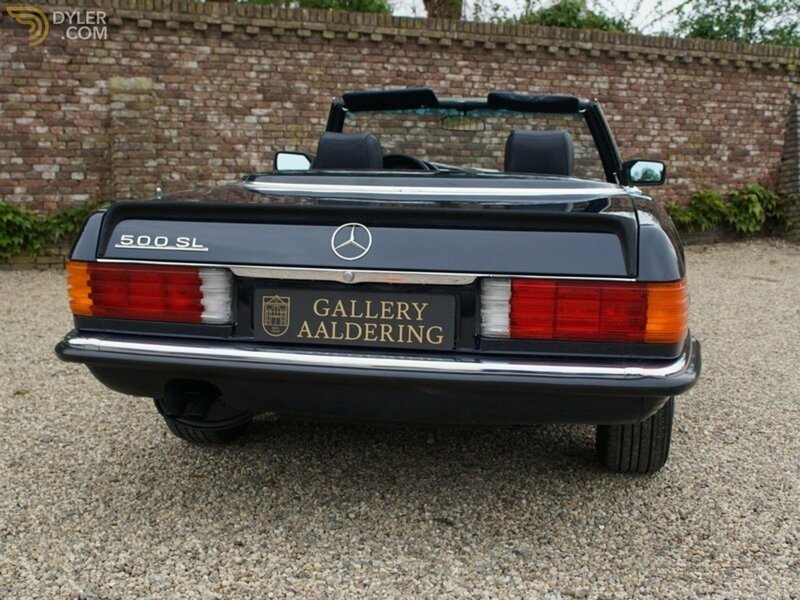 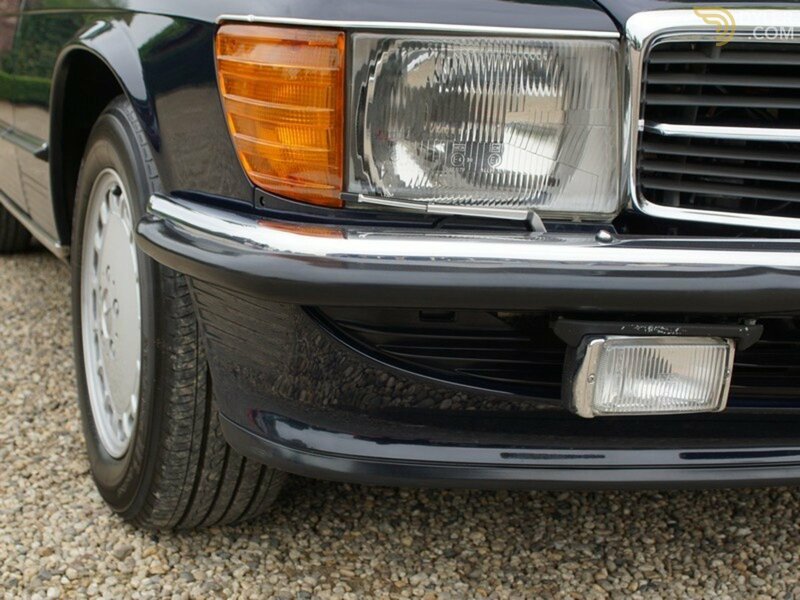 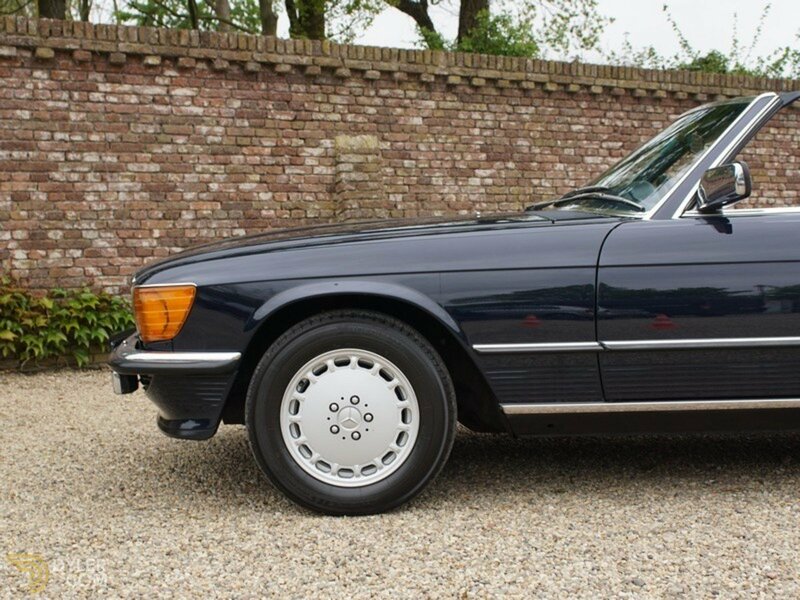 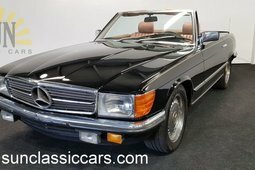 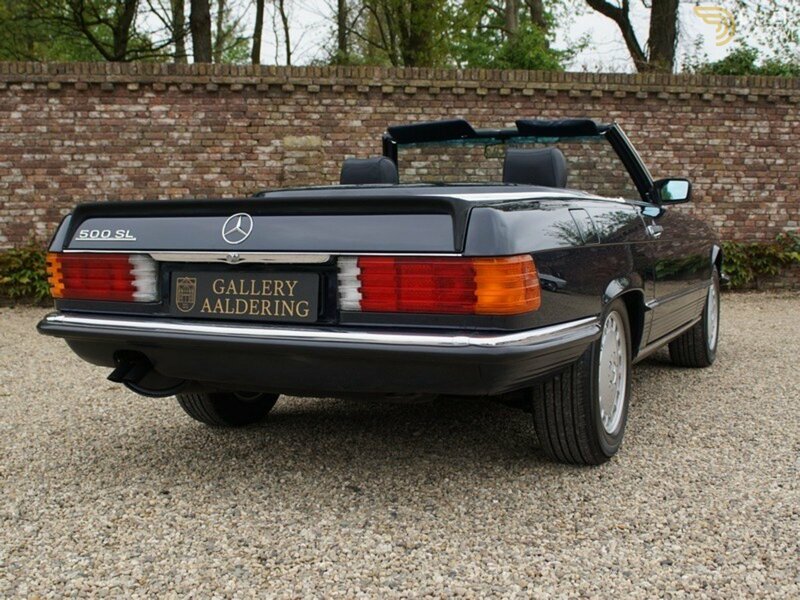 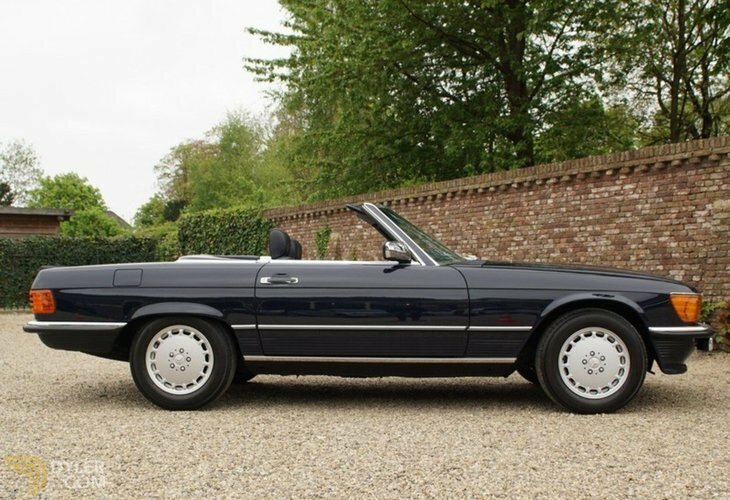 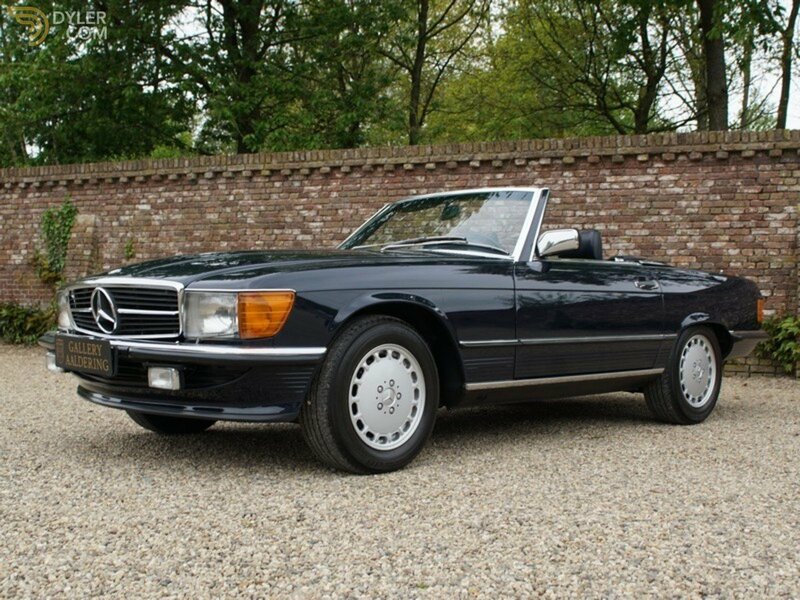 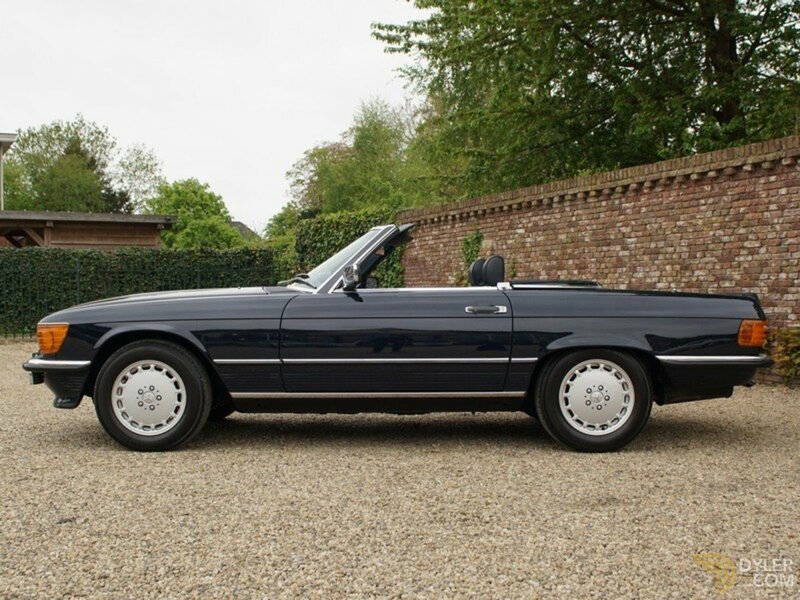 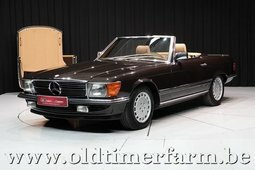 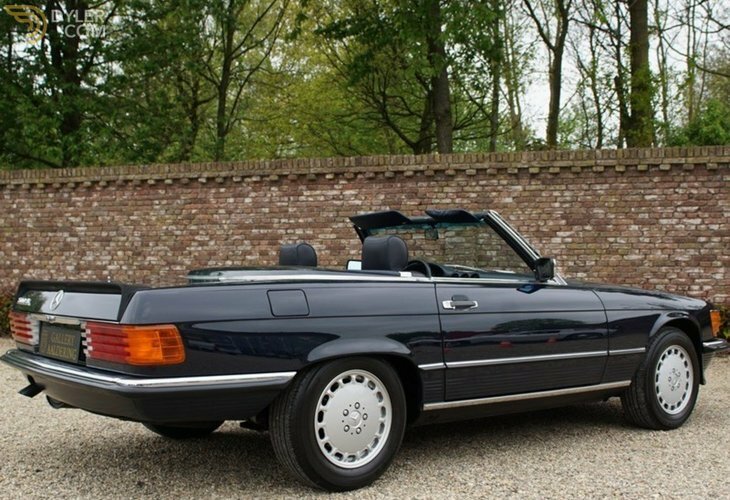 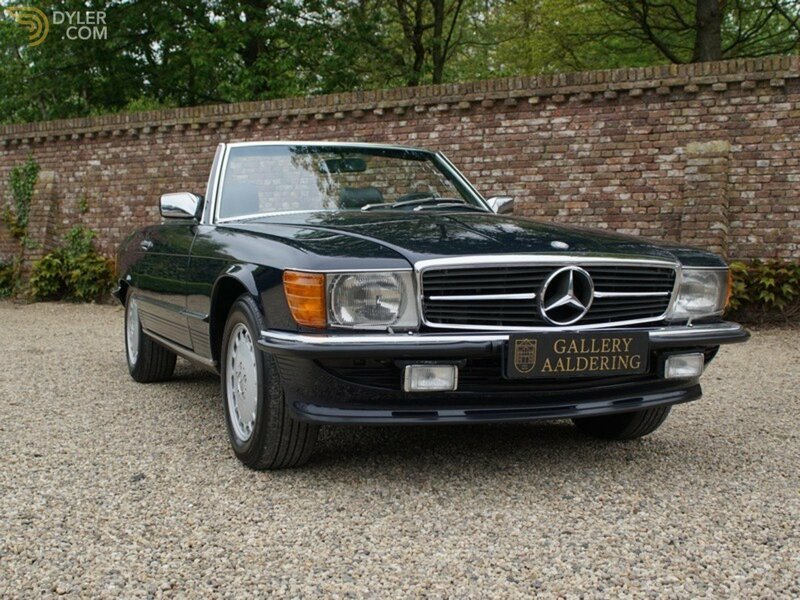 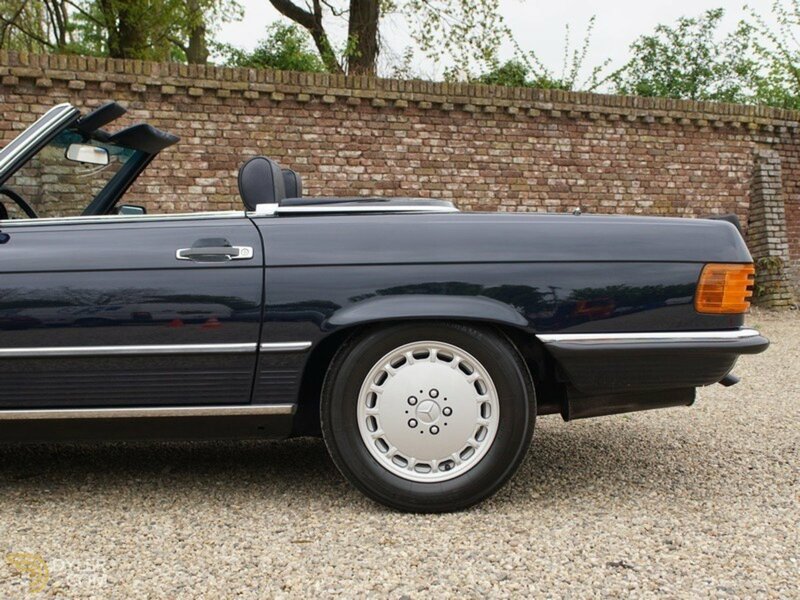 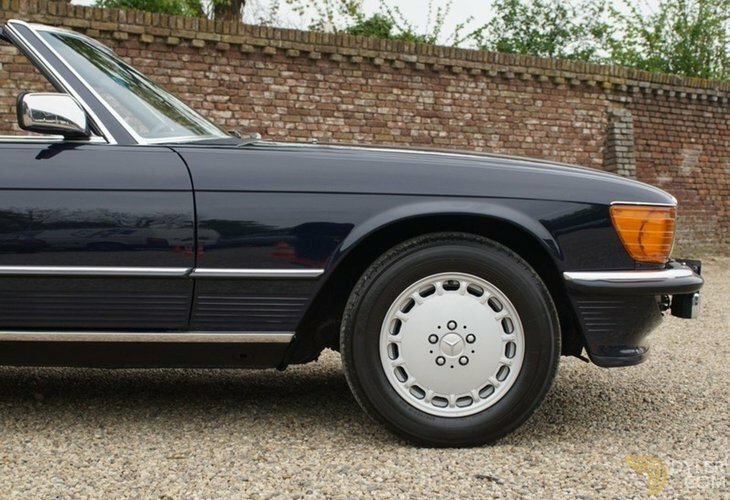 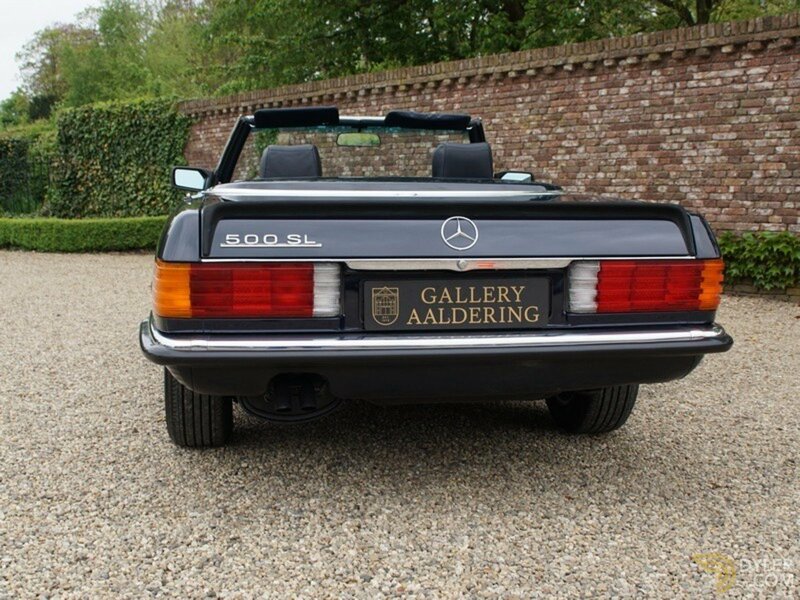 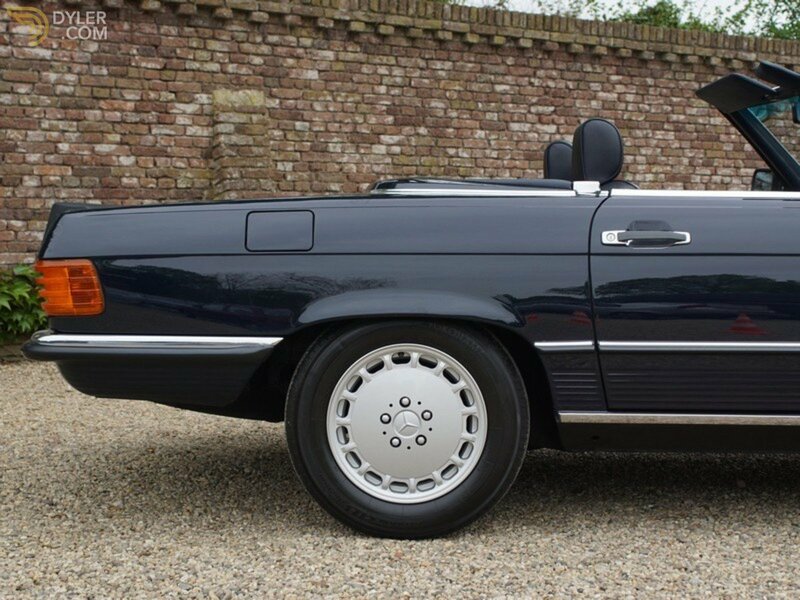 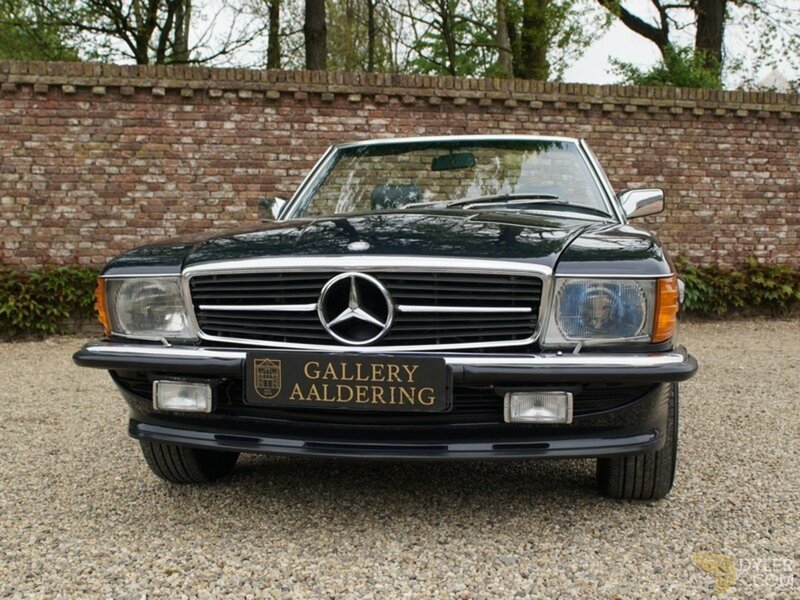 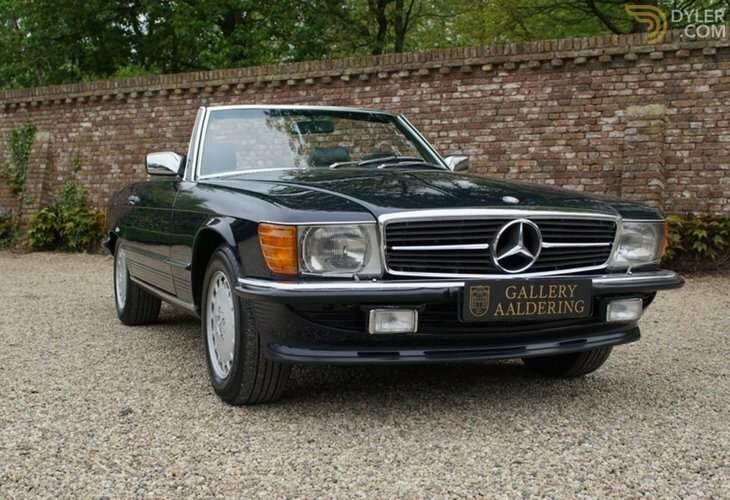 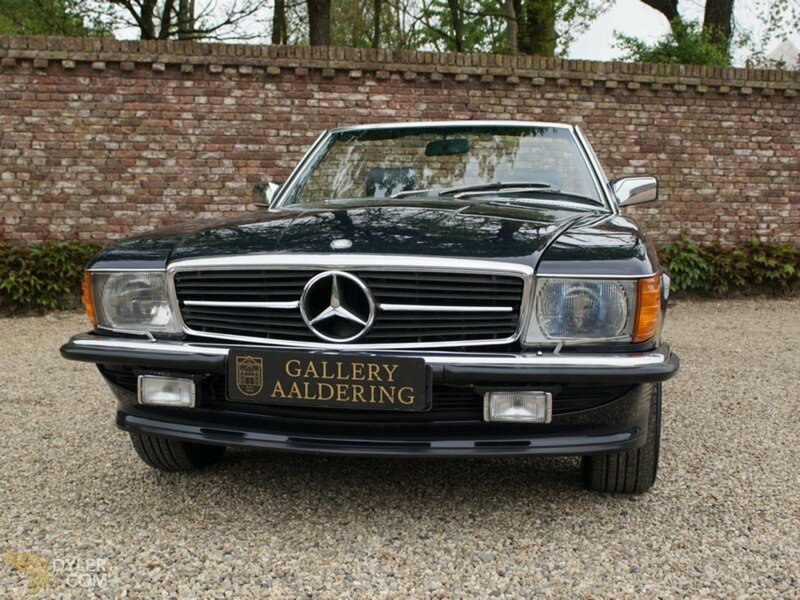 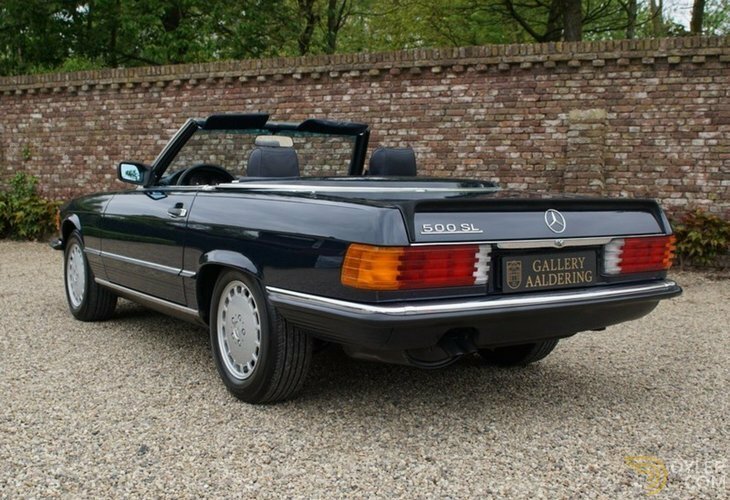 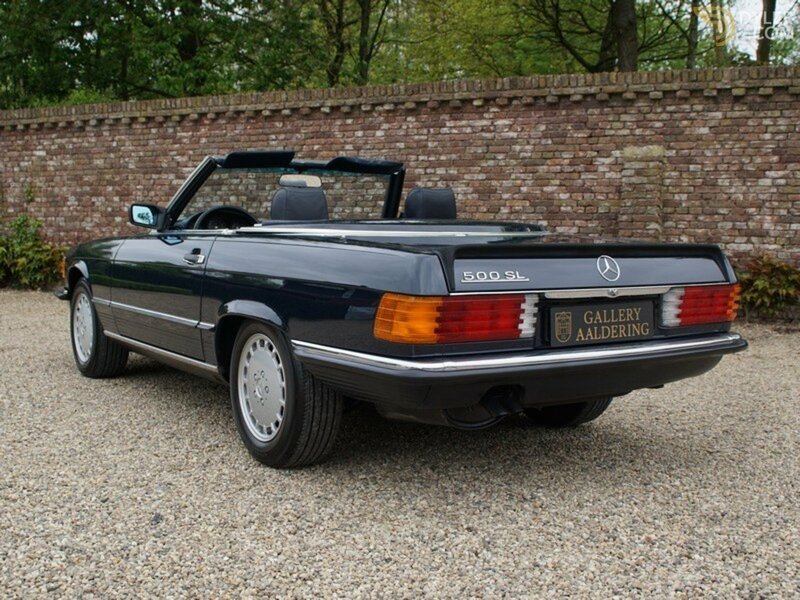 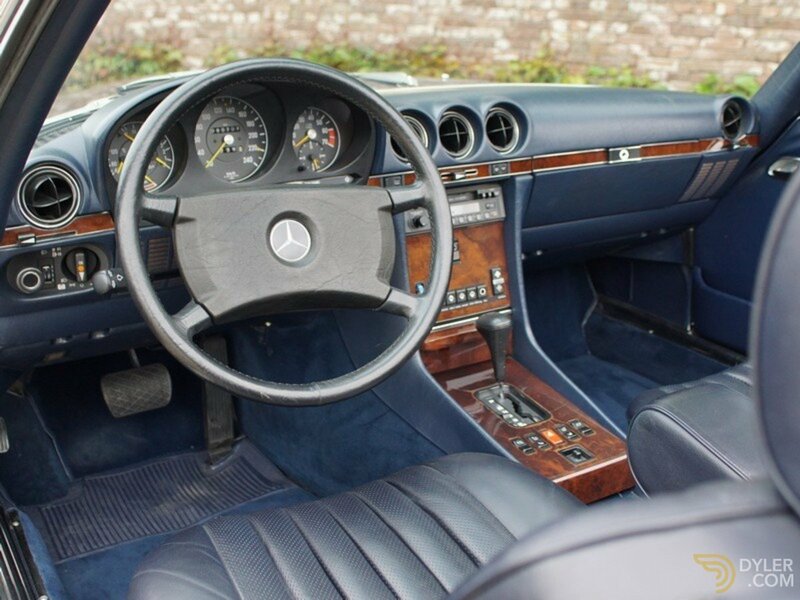 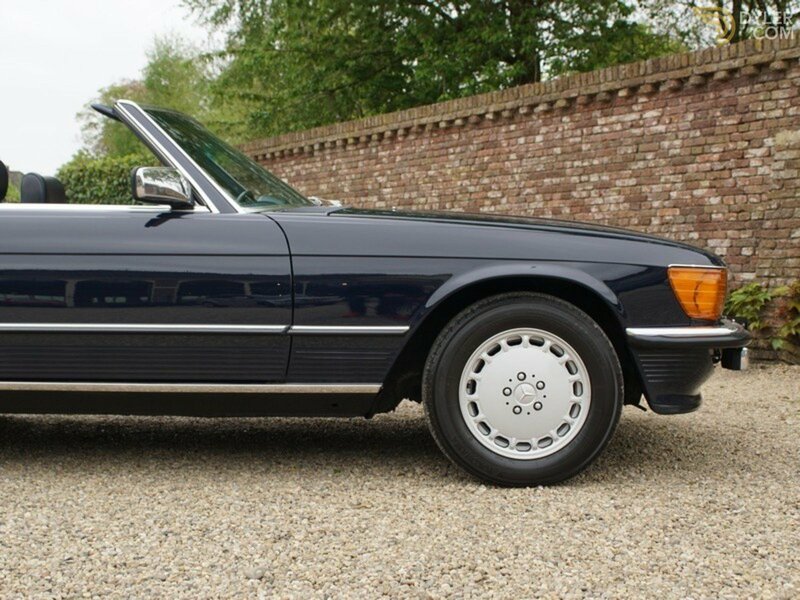 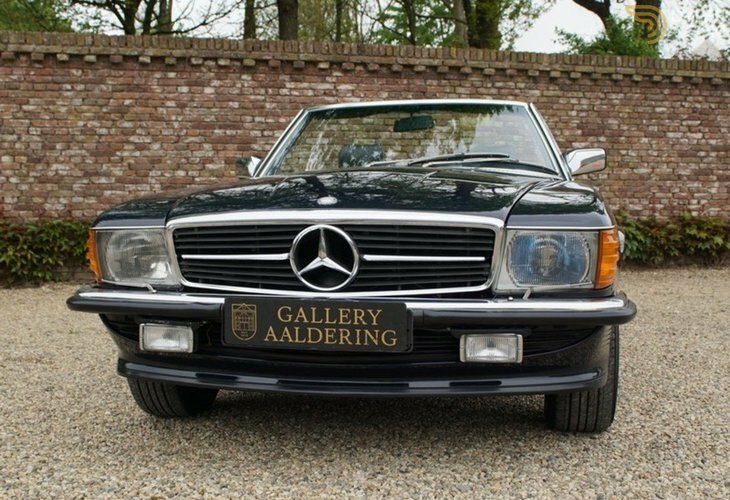 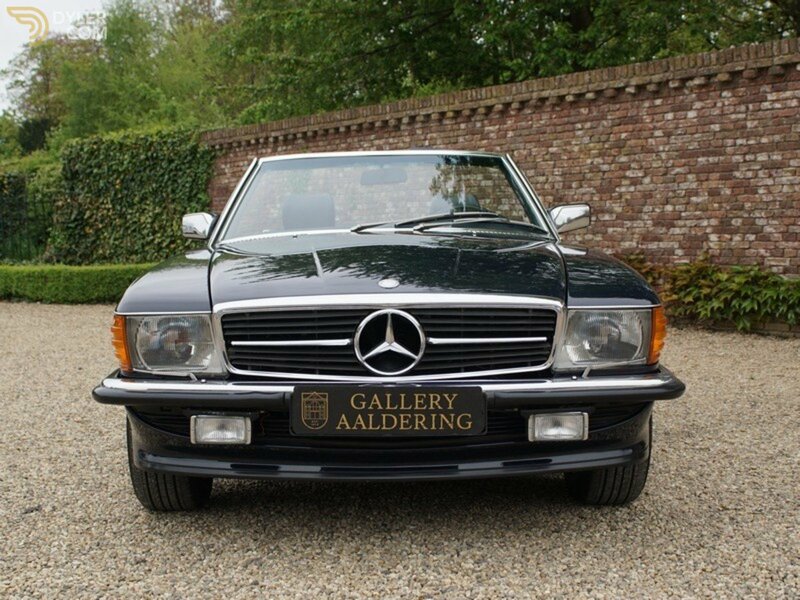 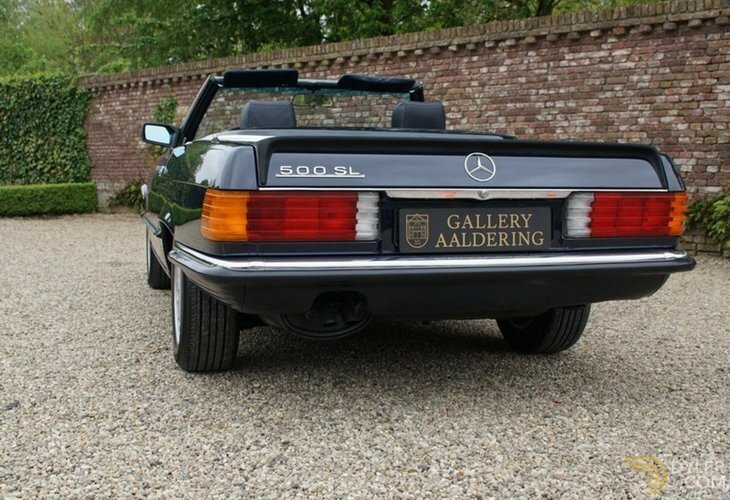 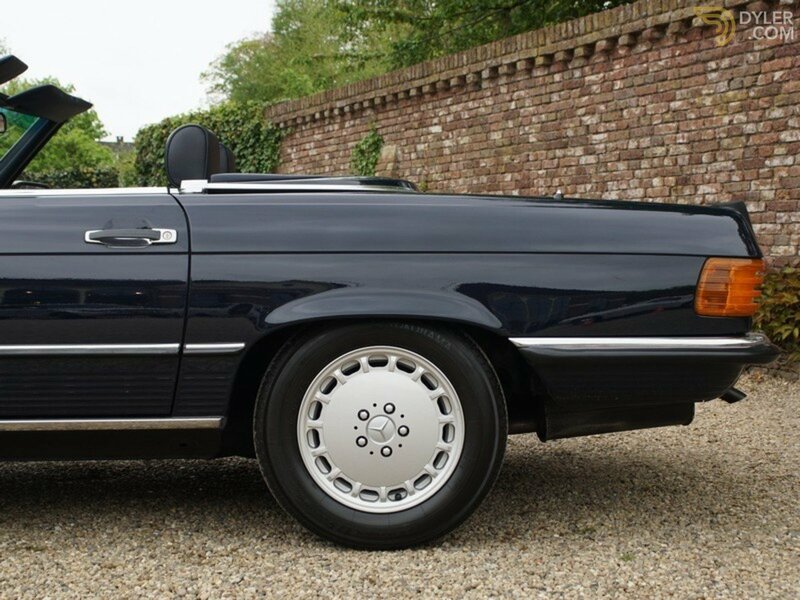 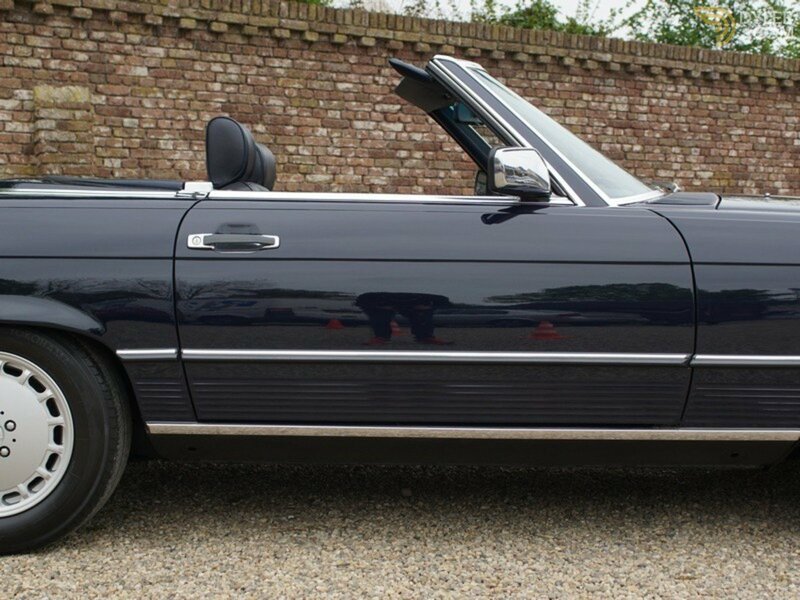 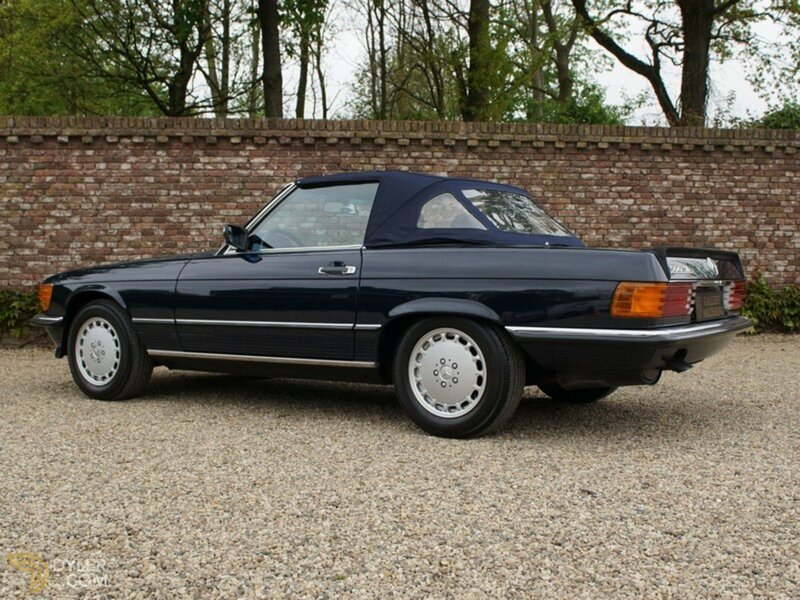 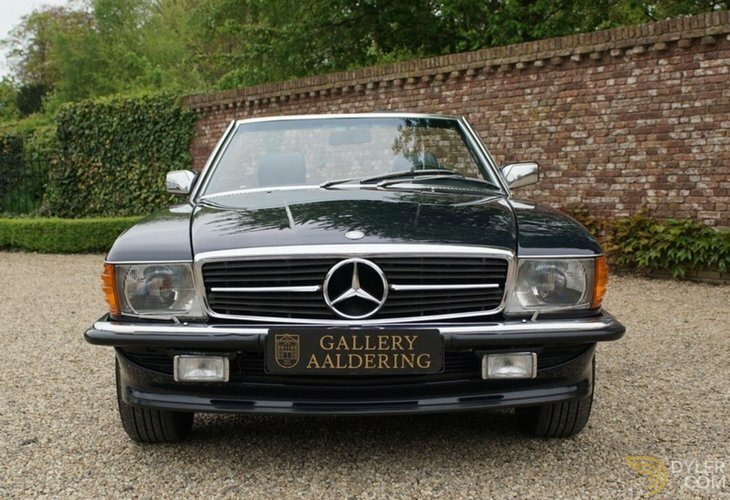 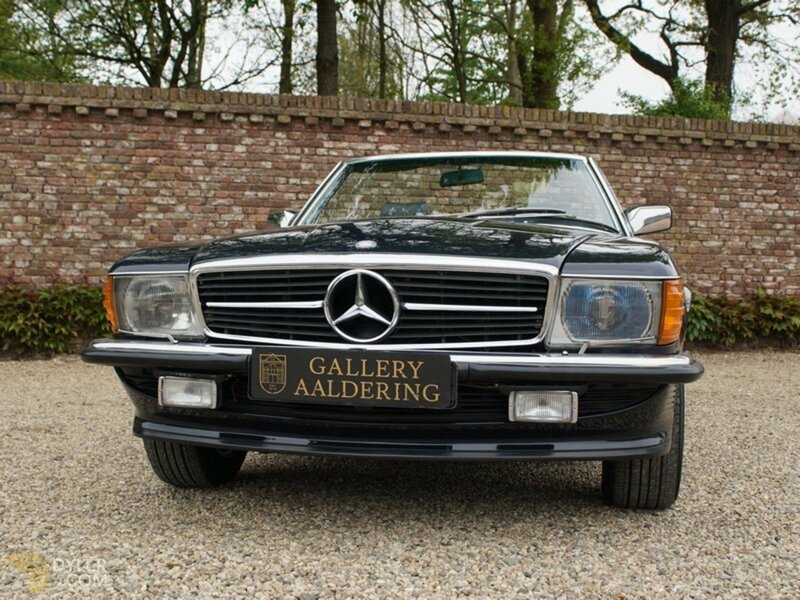 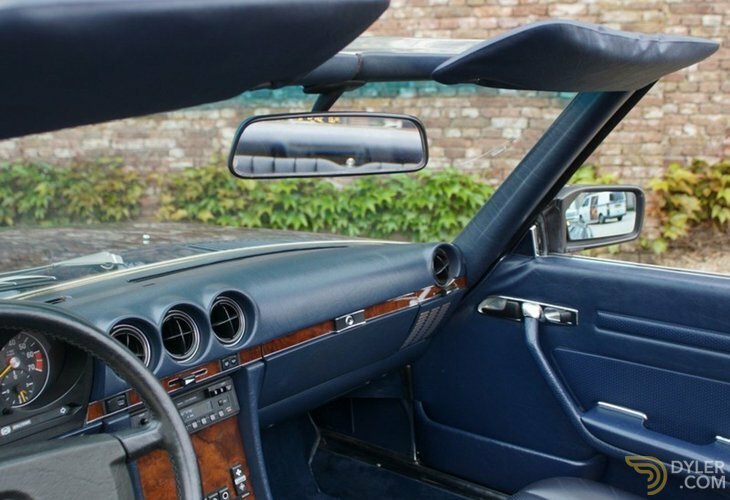 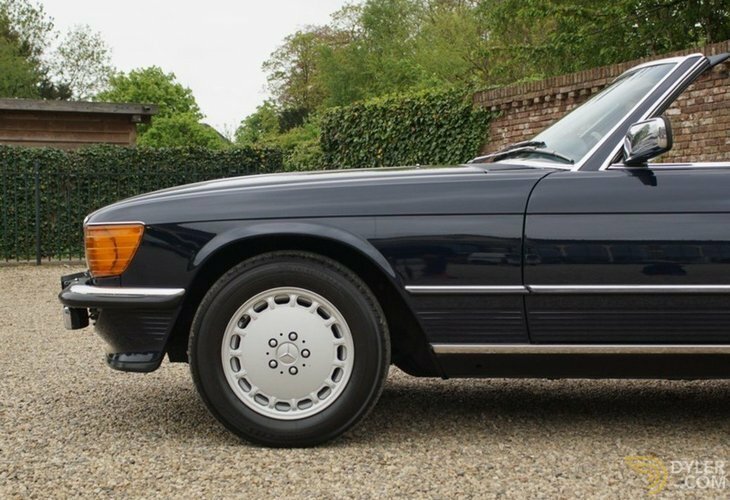 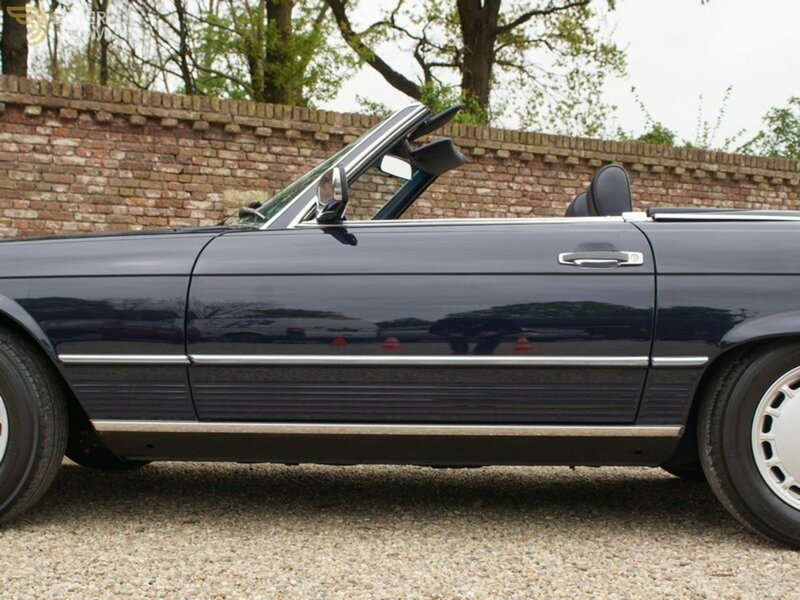 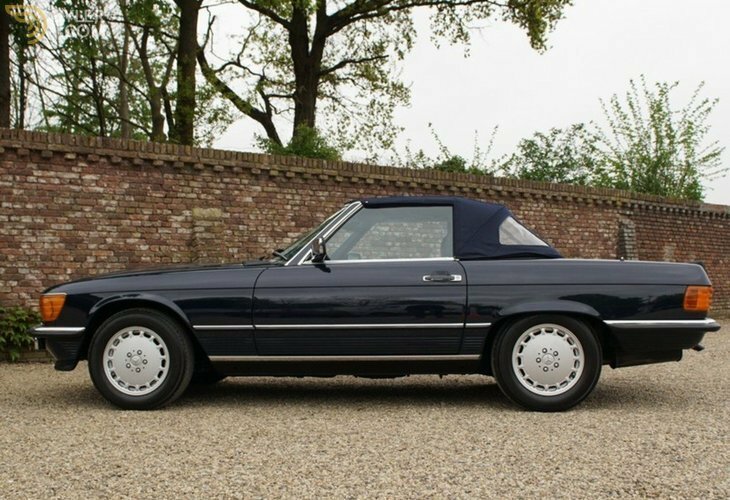 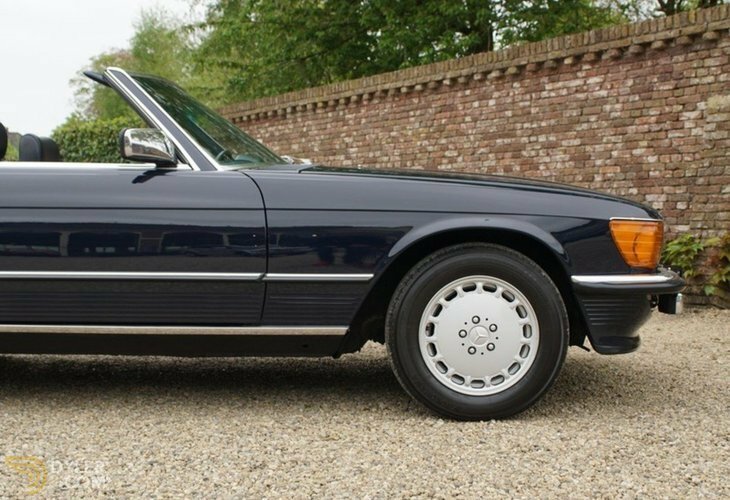 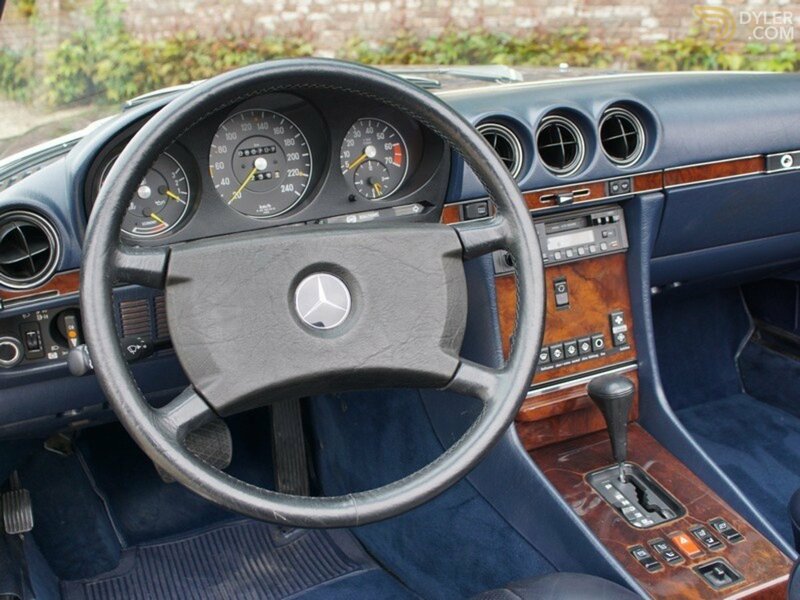 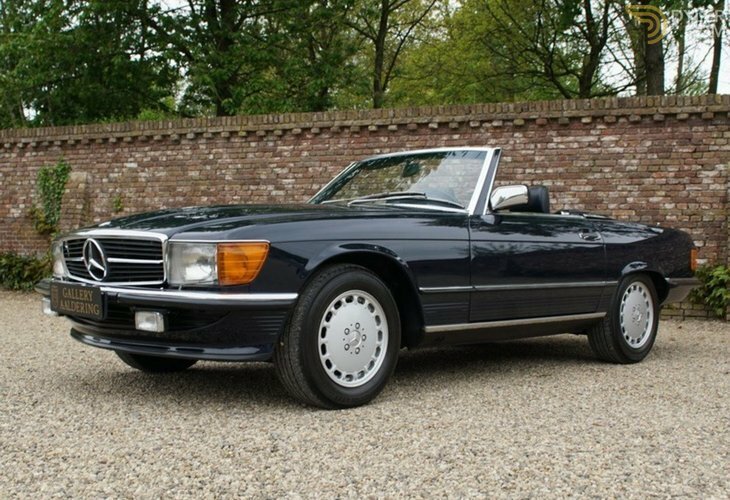 Beautiful 1986 Mercedes 500 SL. 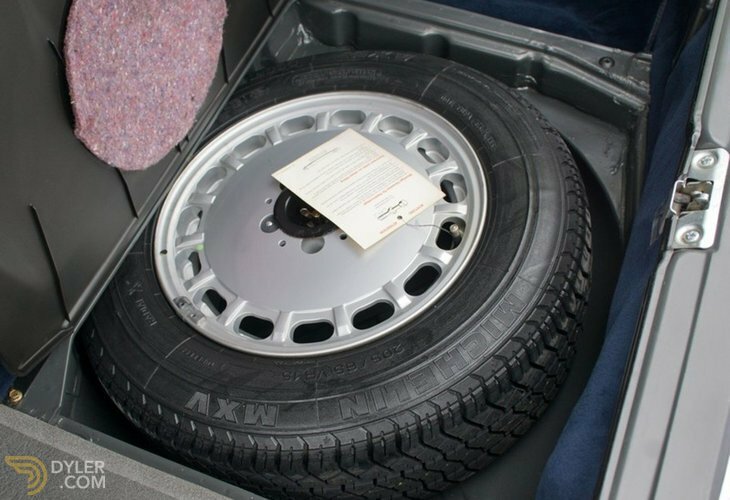 This is a European delivered car that has driven only 80.707 kilometres. 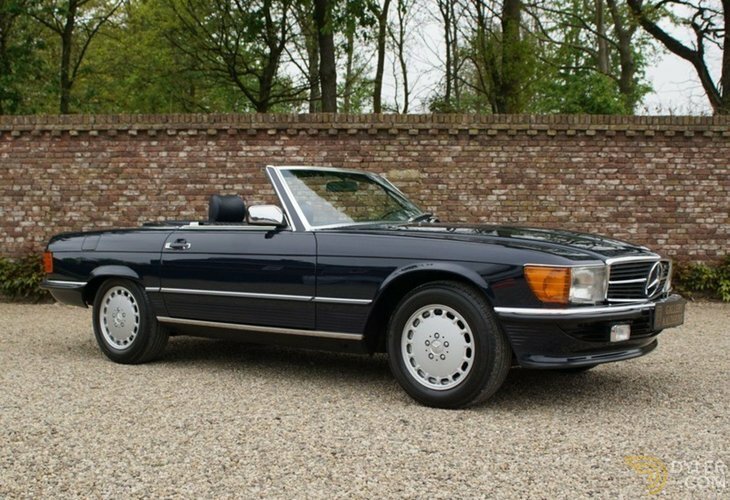 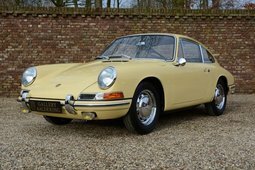 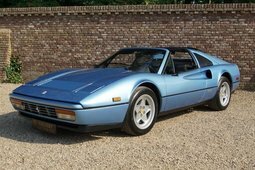 Never been restored and in a highly original condition. 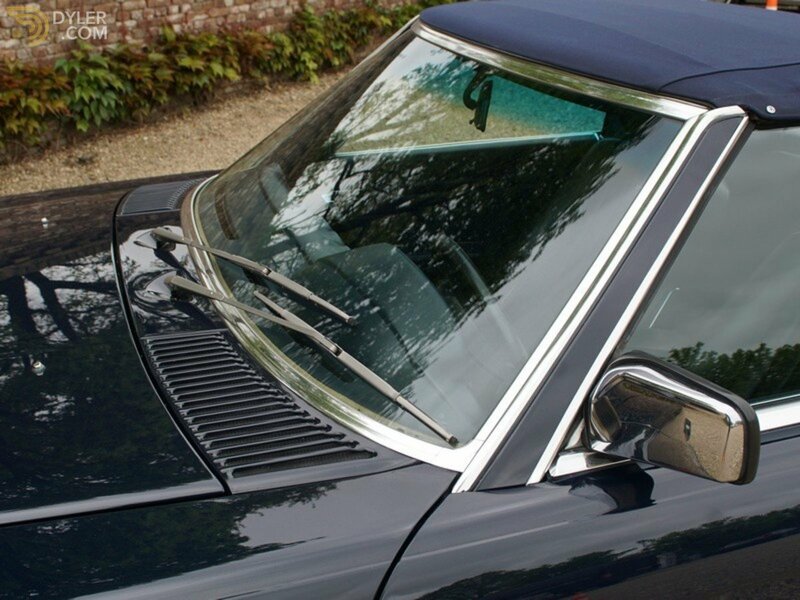 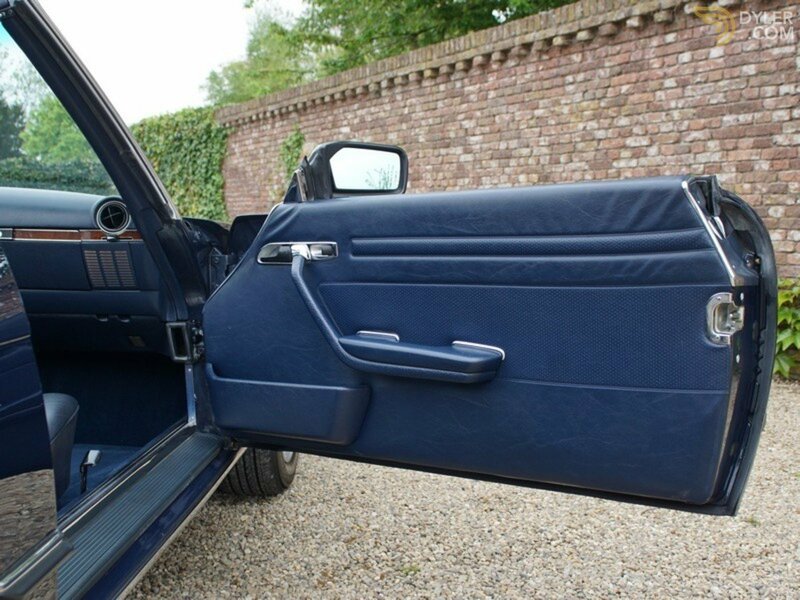 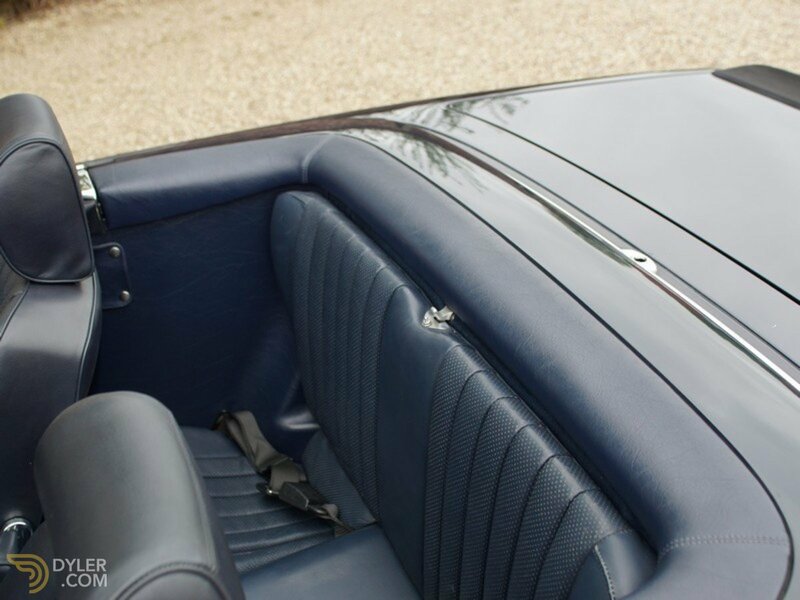 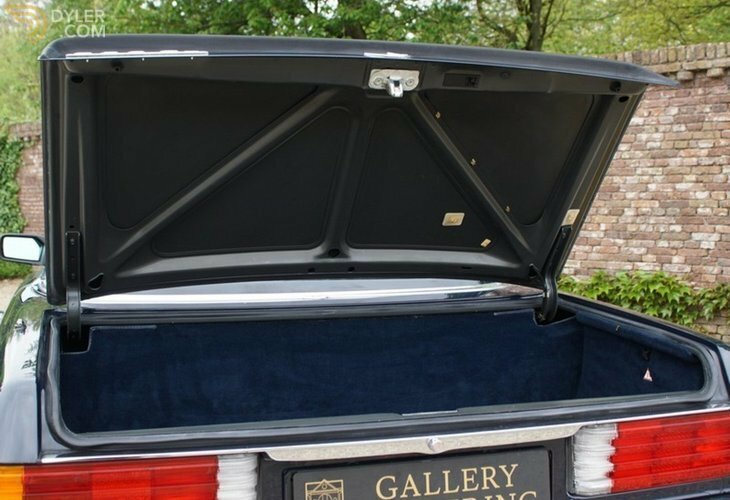 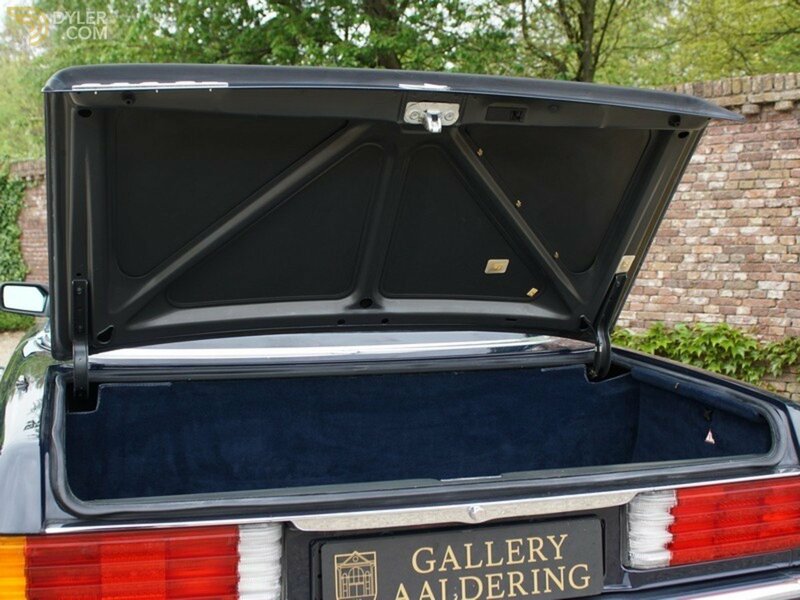 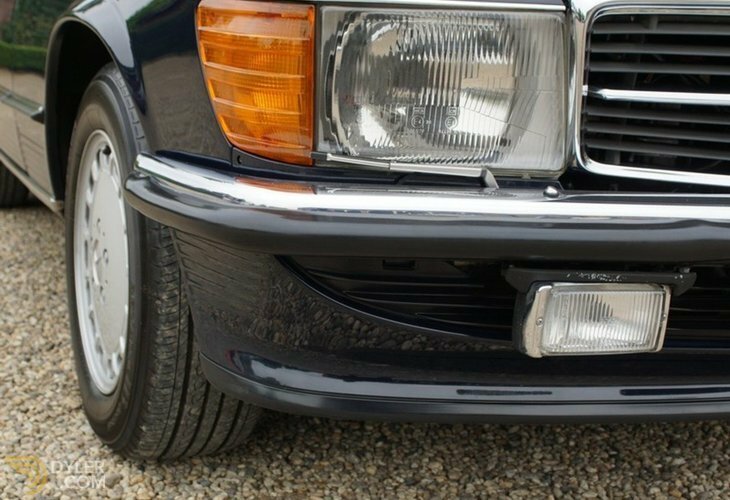 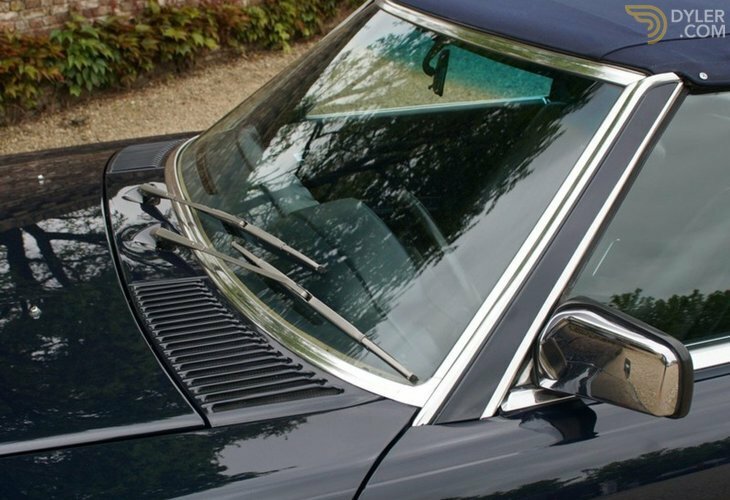 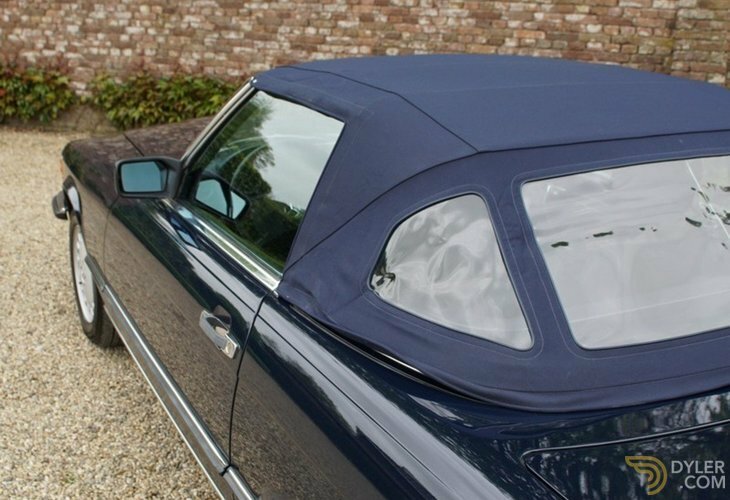 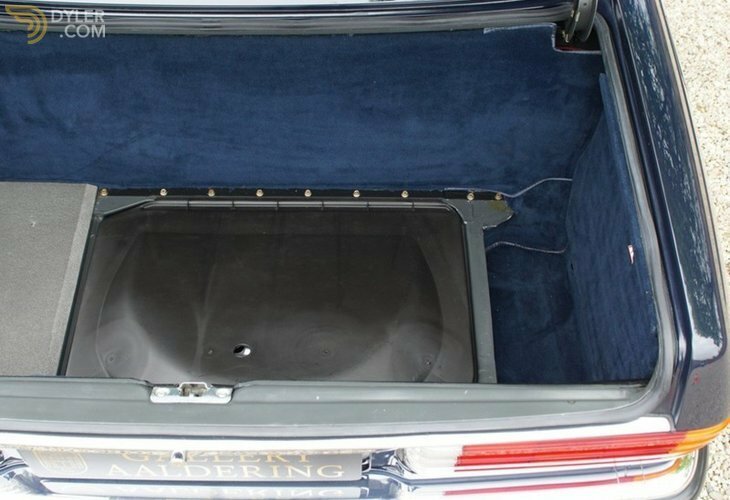 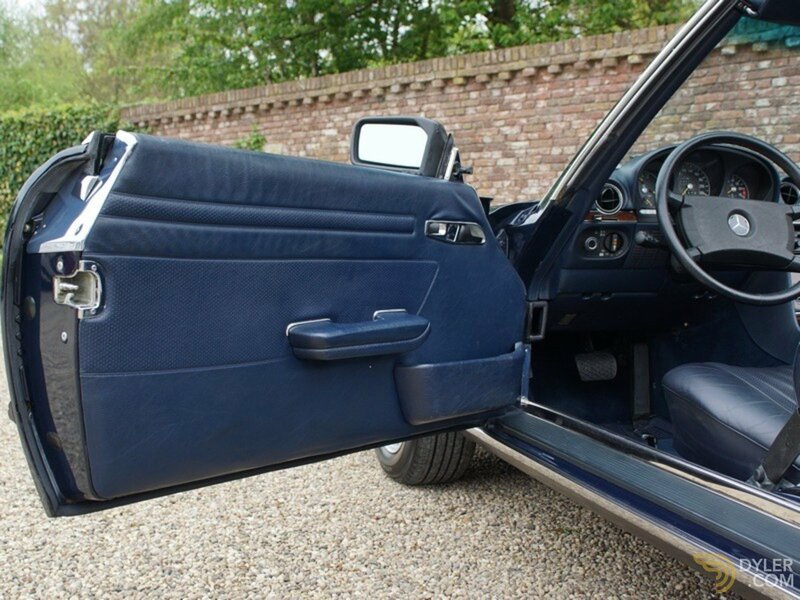 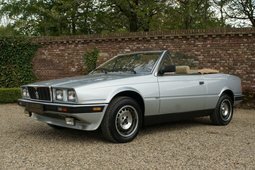 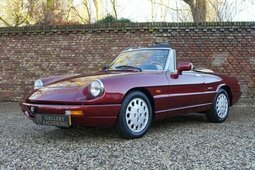 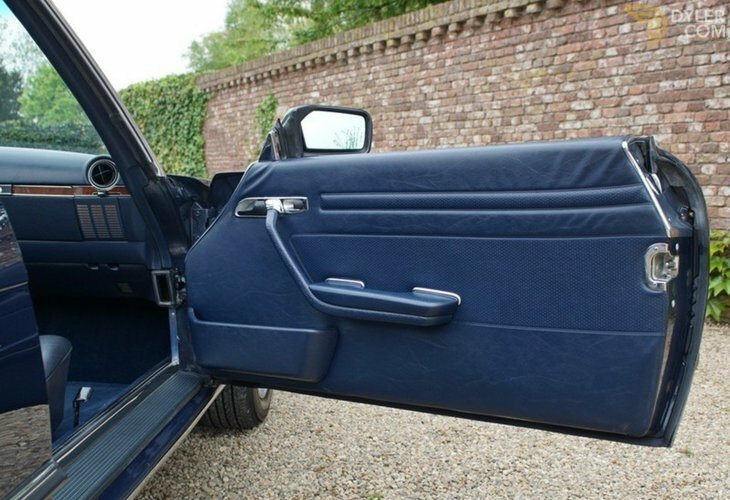 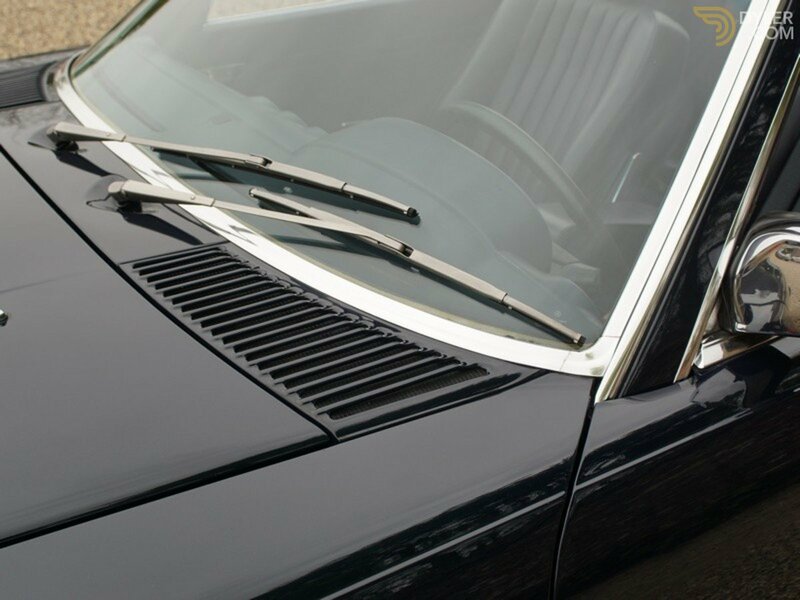 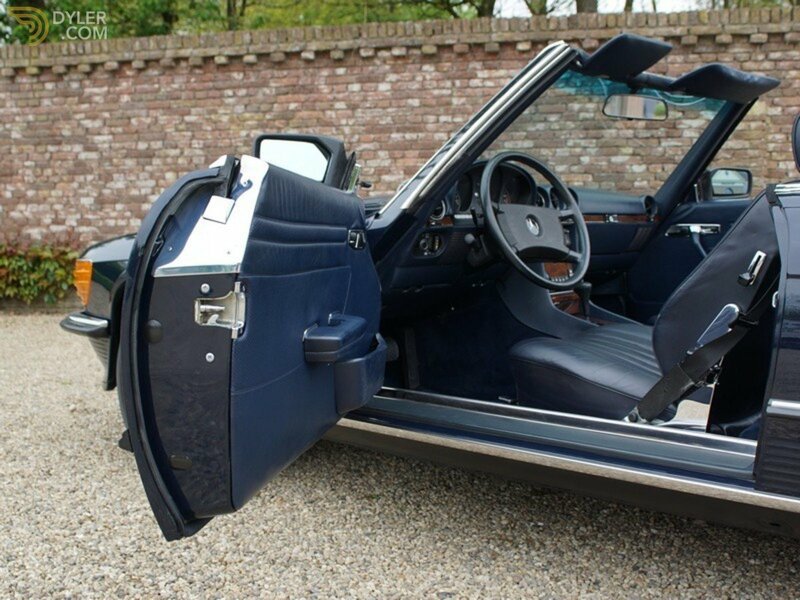 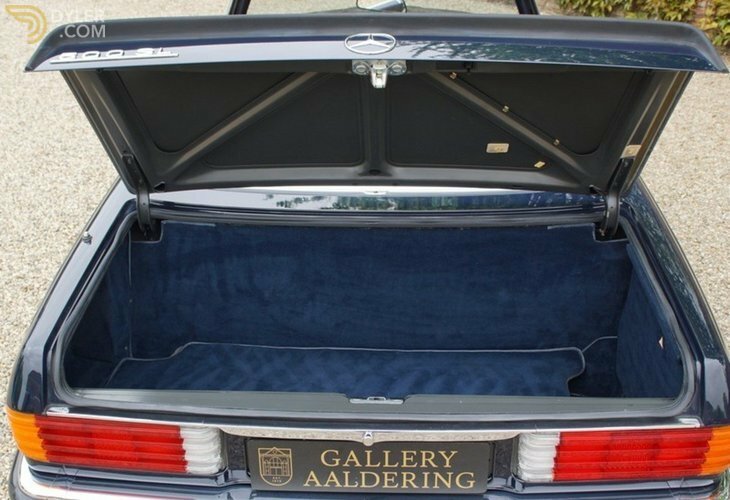 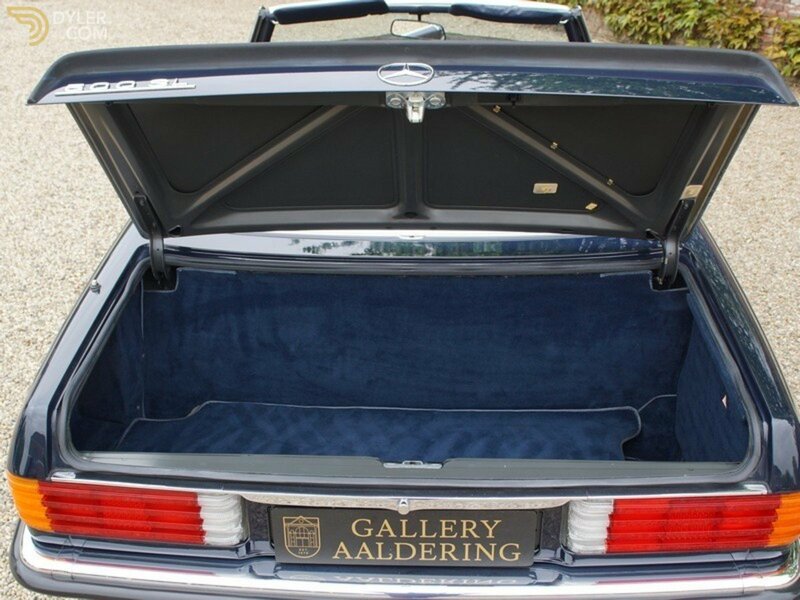 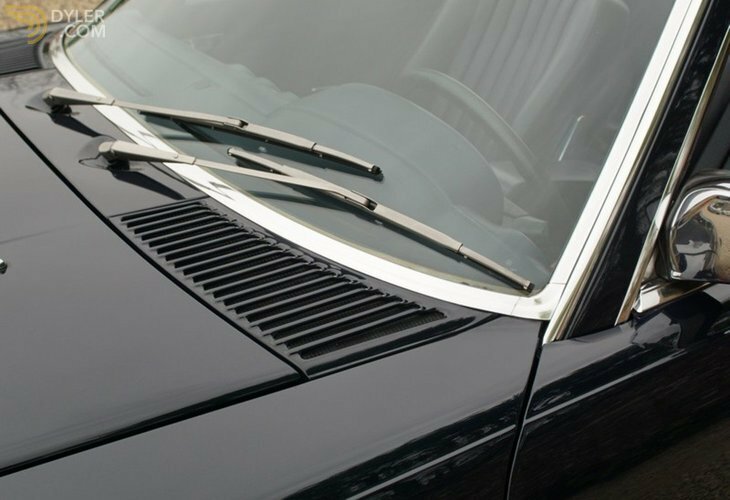 The body is fantastic, has perfect panel fittings and beautiful paintwork. 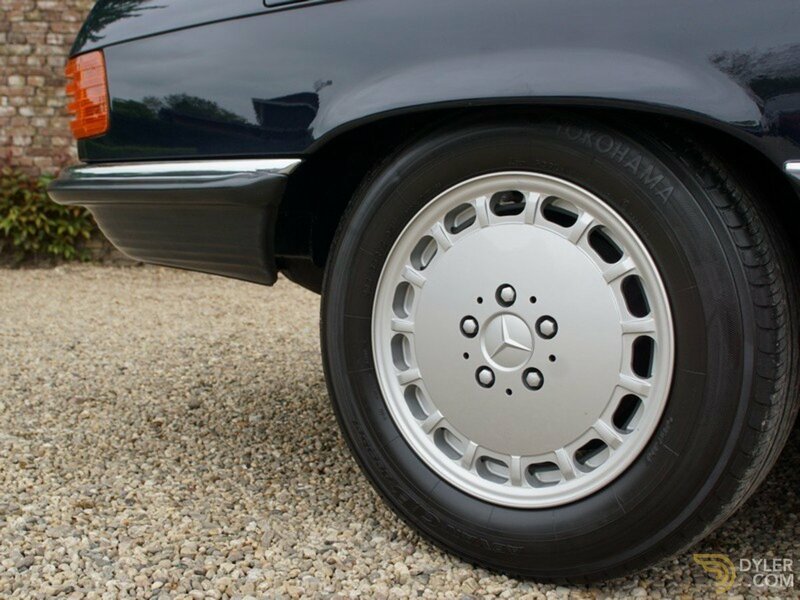 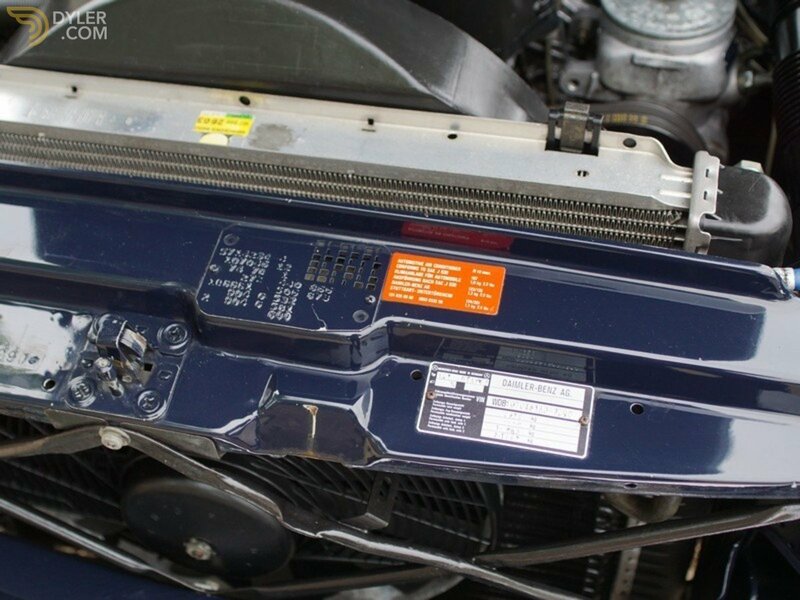 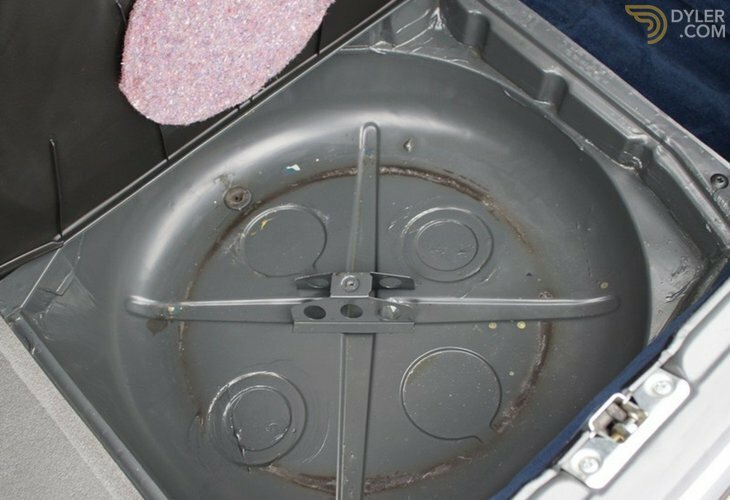 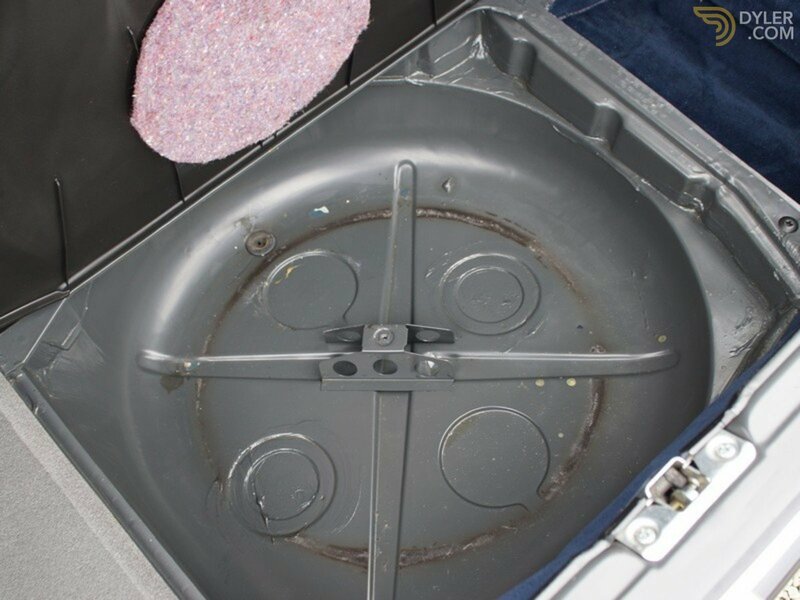 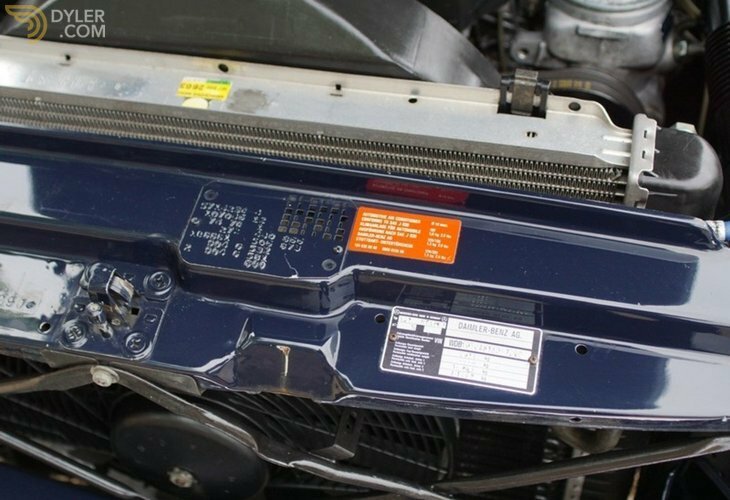 Also the undercarriage is solid, original and free of rust. 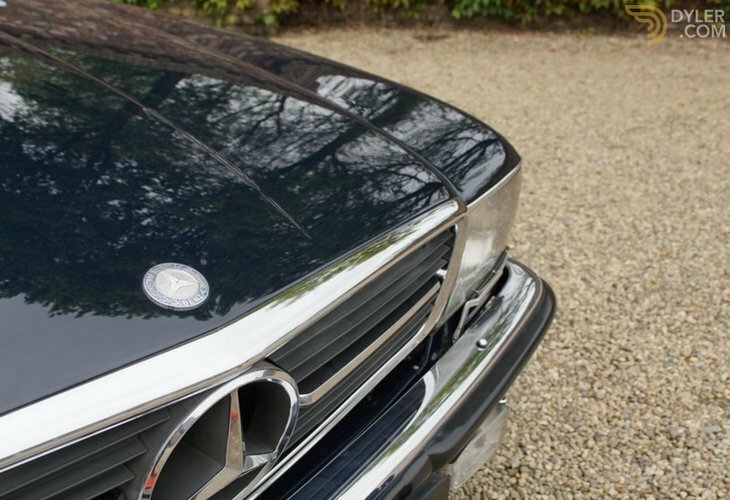 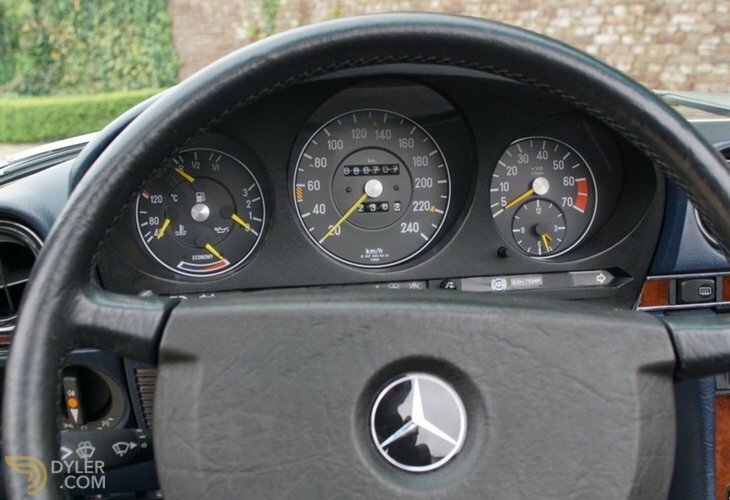 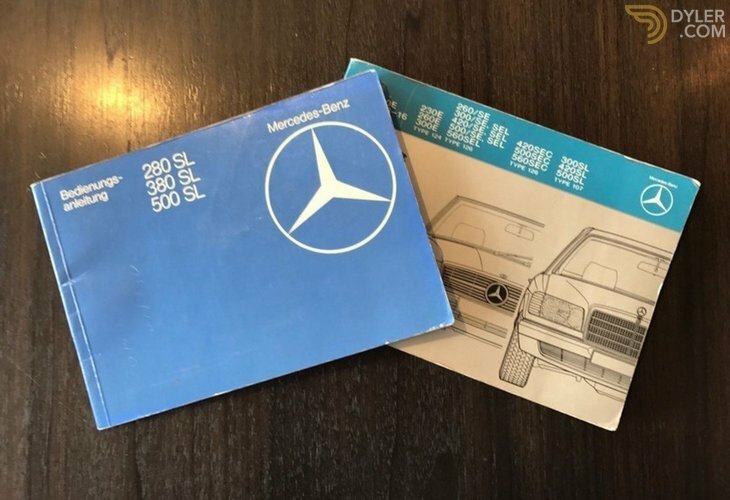 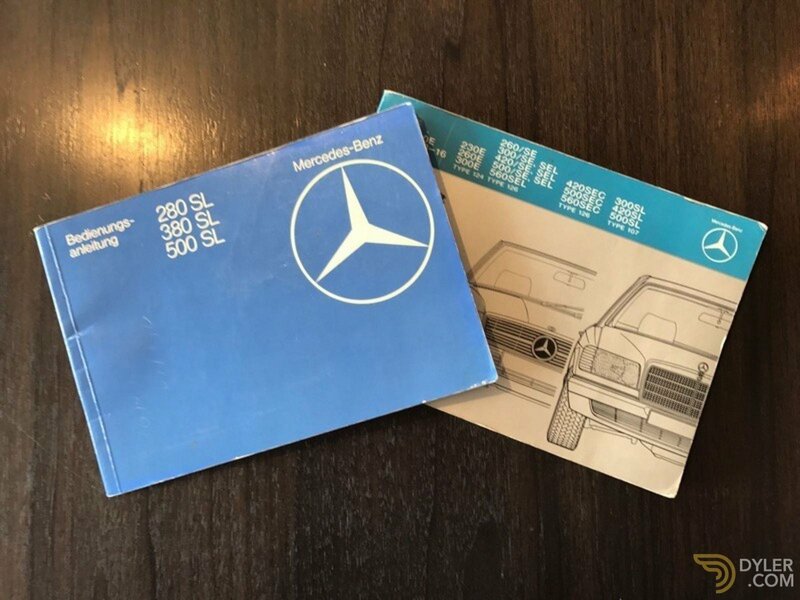 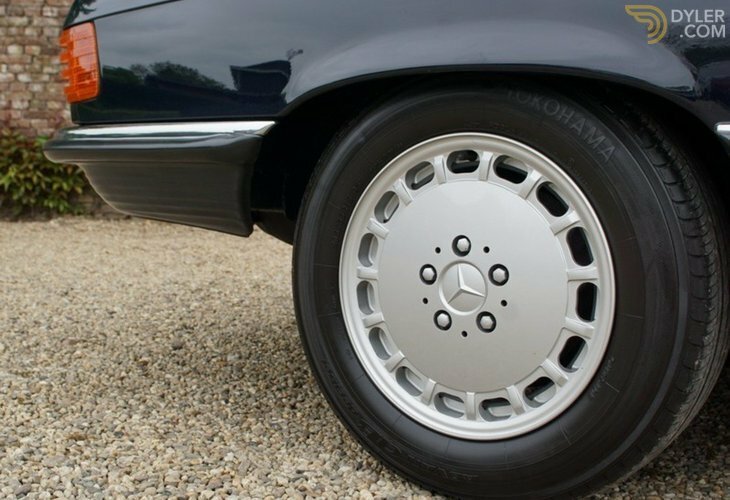 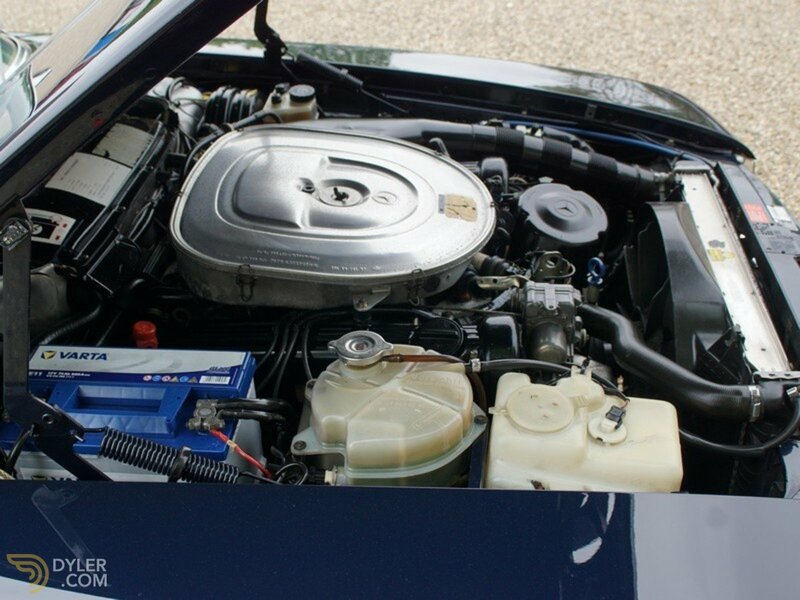 The 500 SL was at the time the ‘Top of the bill’ example of Mercedes Benz. Recognizable with its black rear spoiler and of course equipped with the powerful 5.0 V8 with more than 240 bhp and automatic transmission. 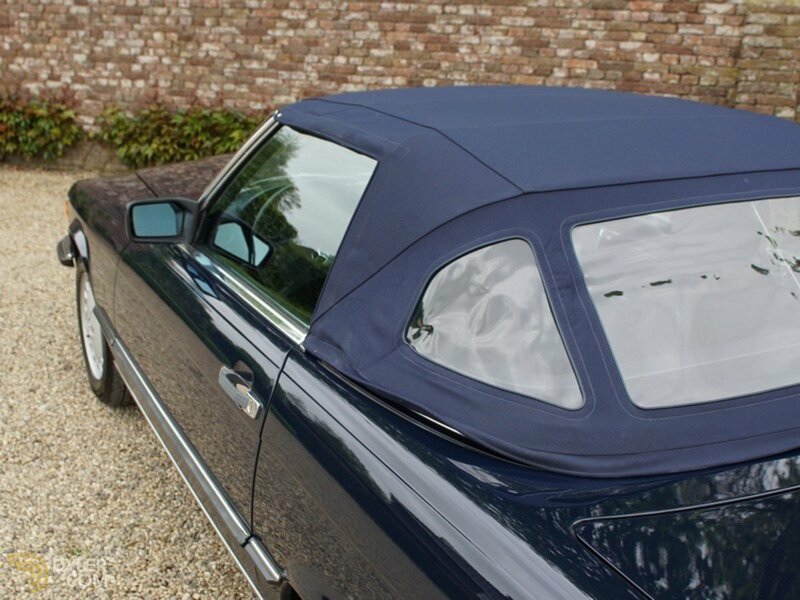 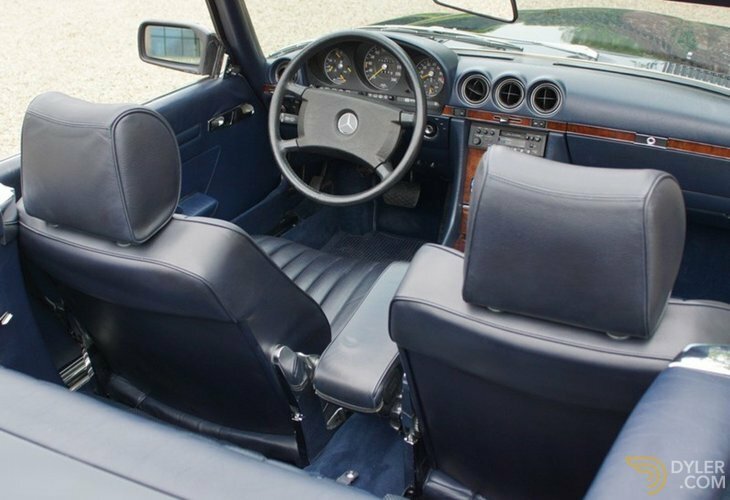 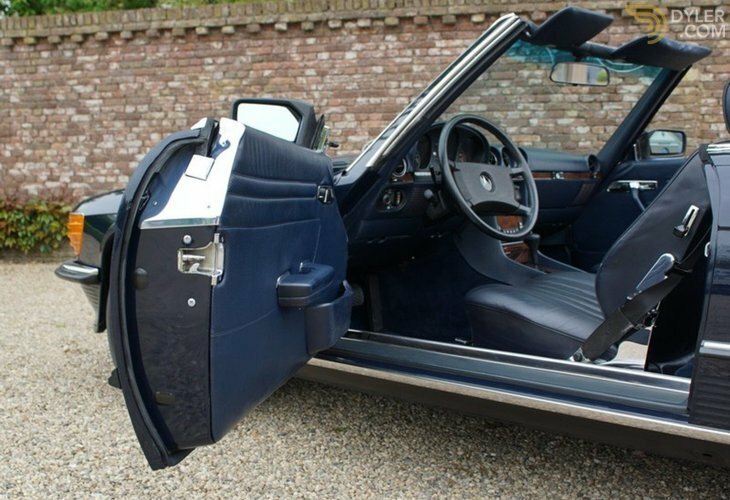 Performed in her original colour ‘Mitternachtsblau’ in combination with a deep dark blue leather upholstery and dark blue soft-top. 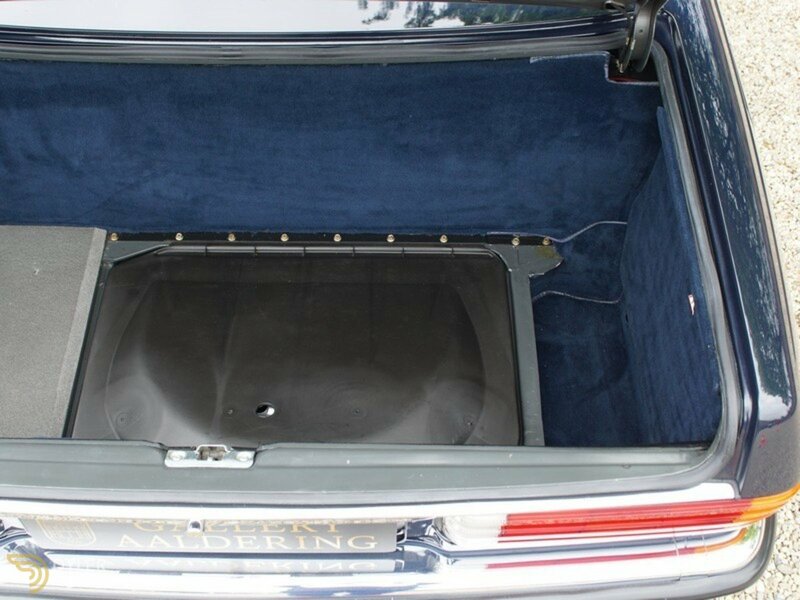 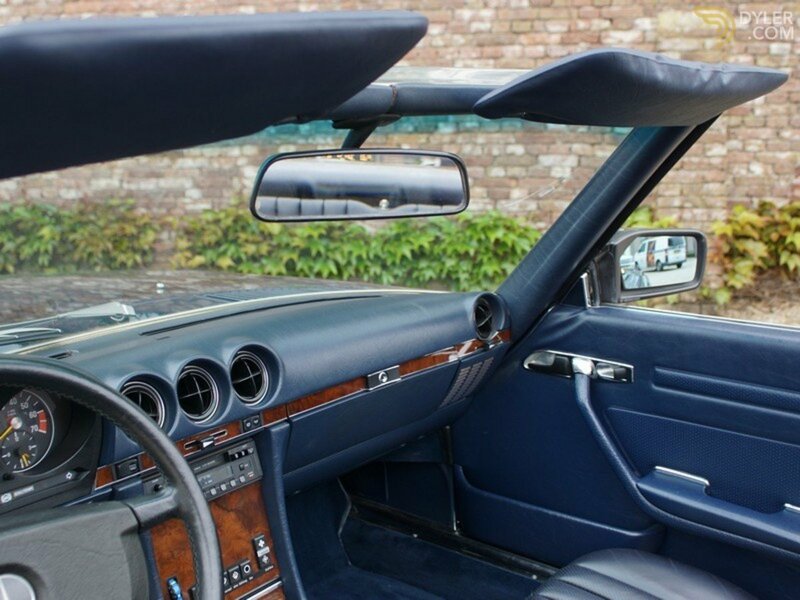 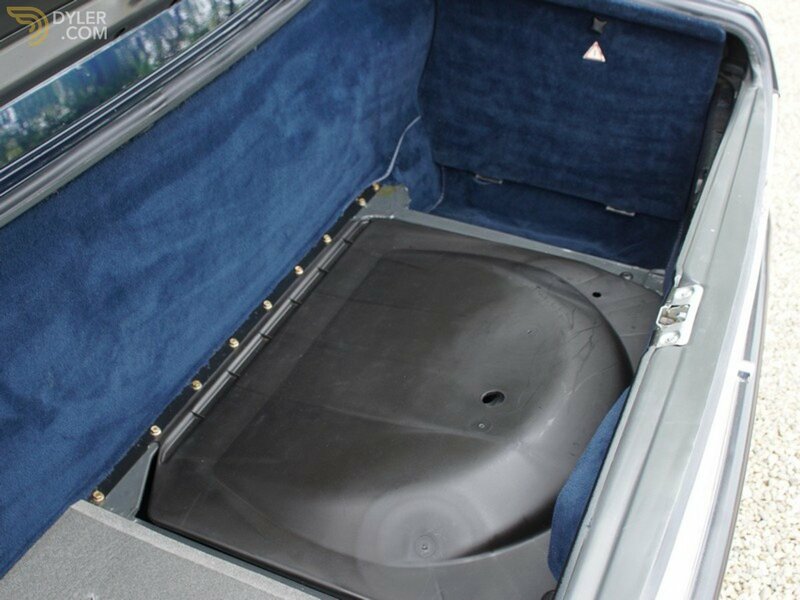 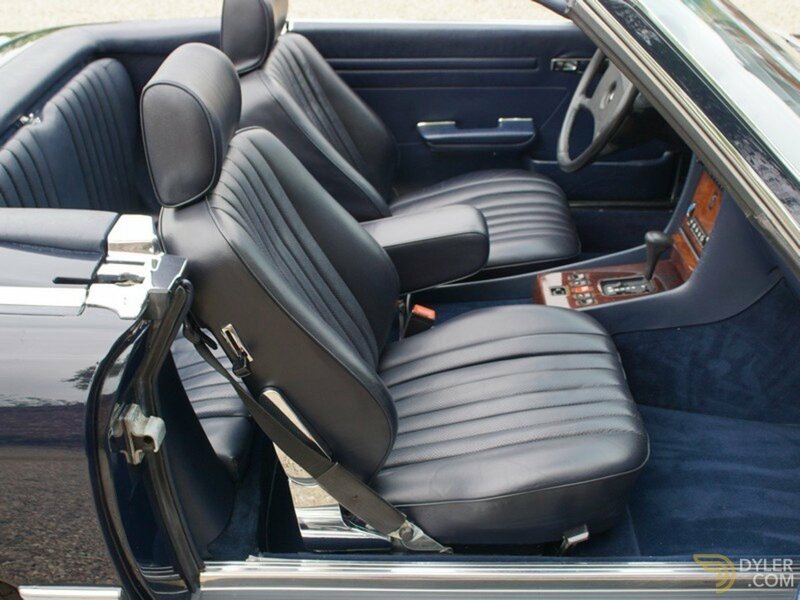 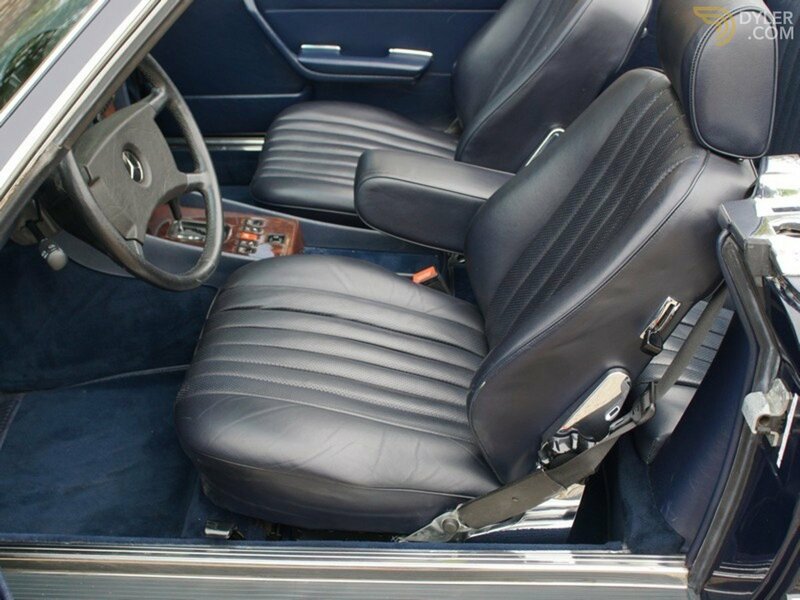 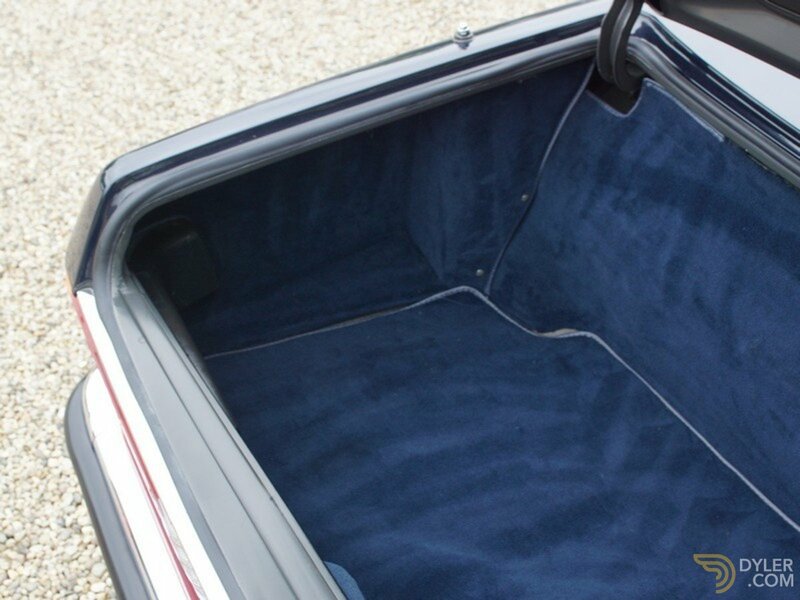 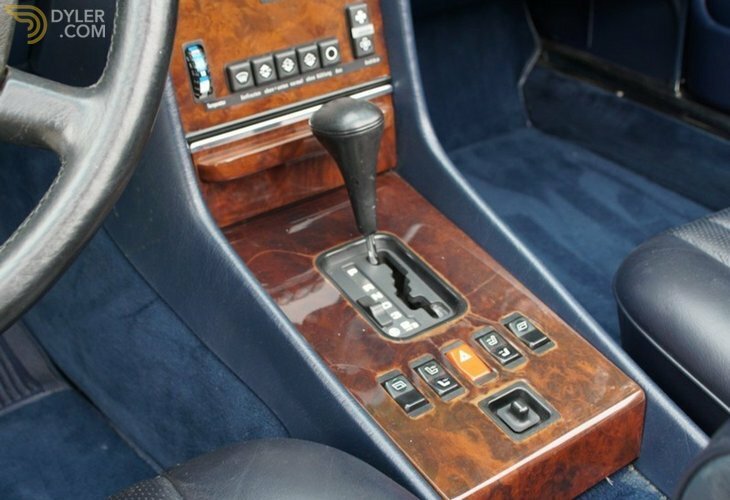 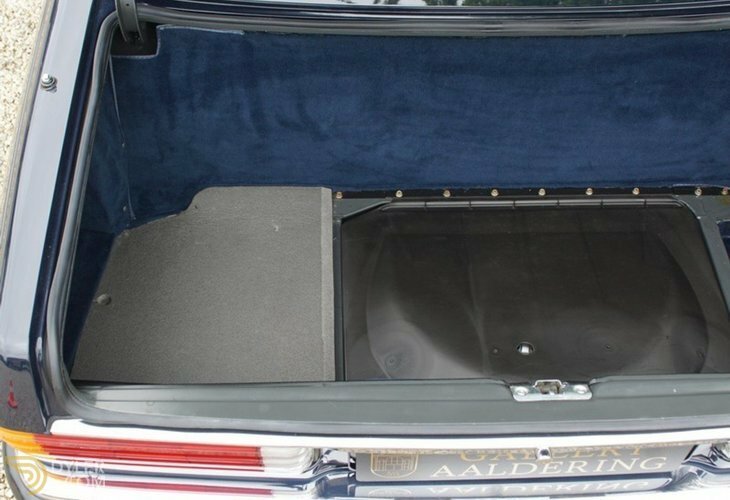 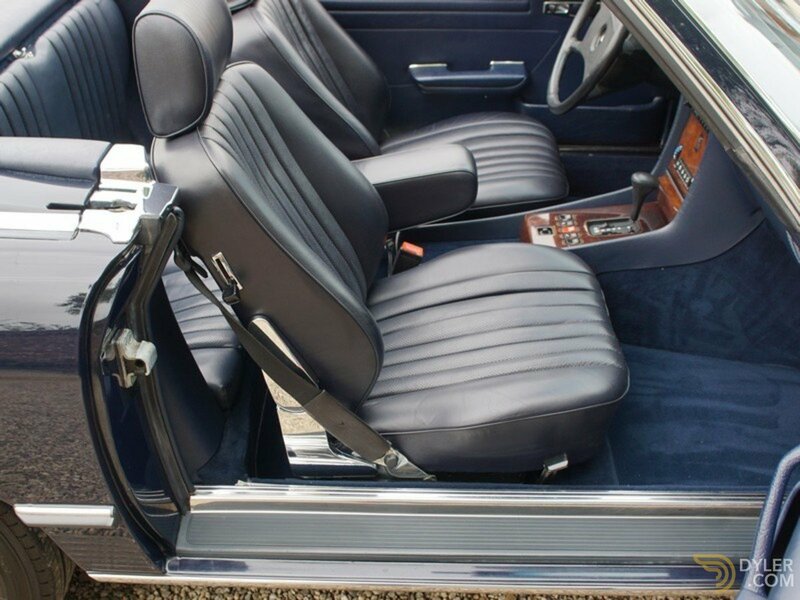 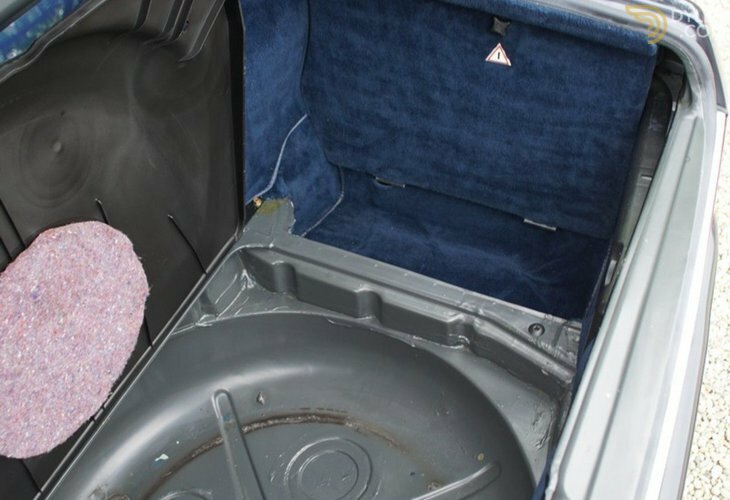 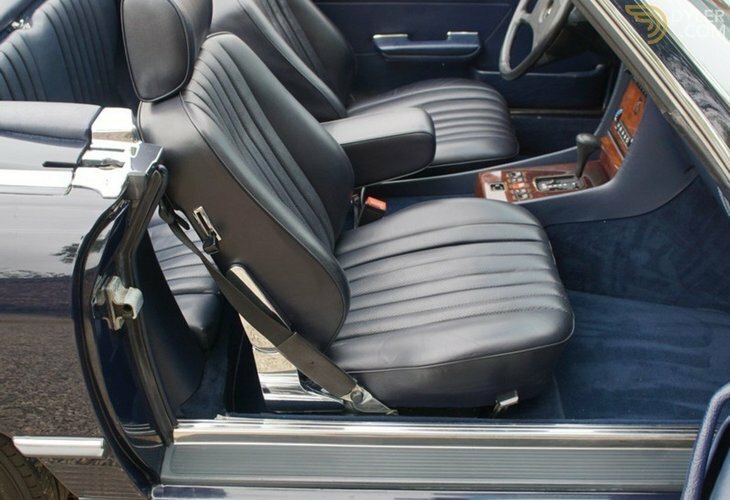 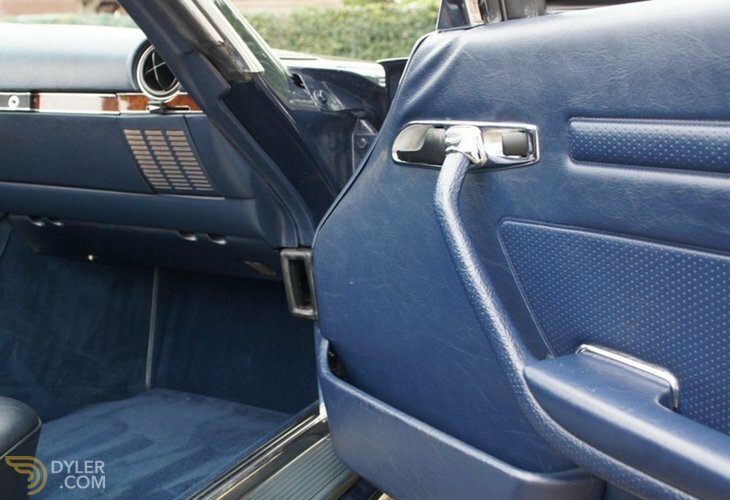 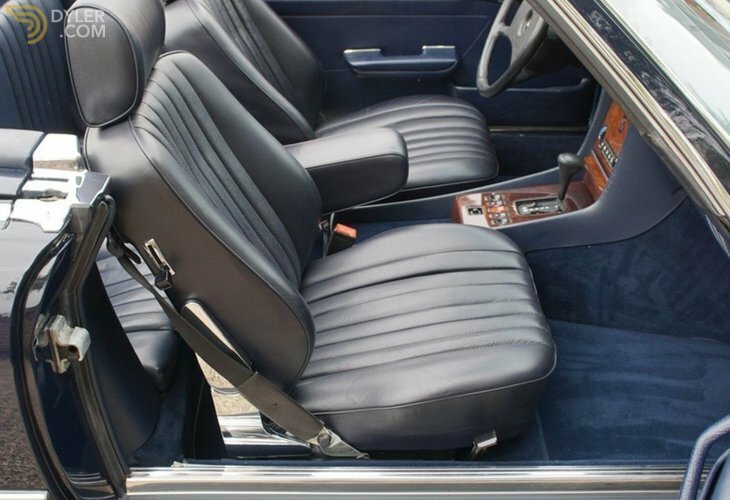 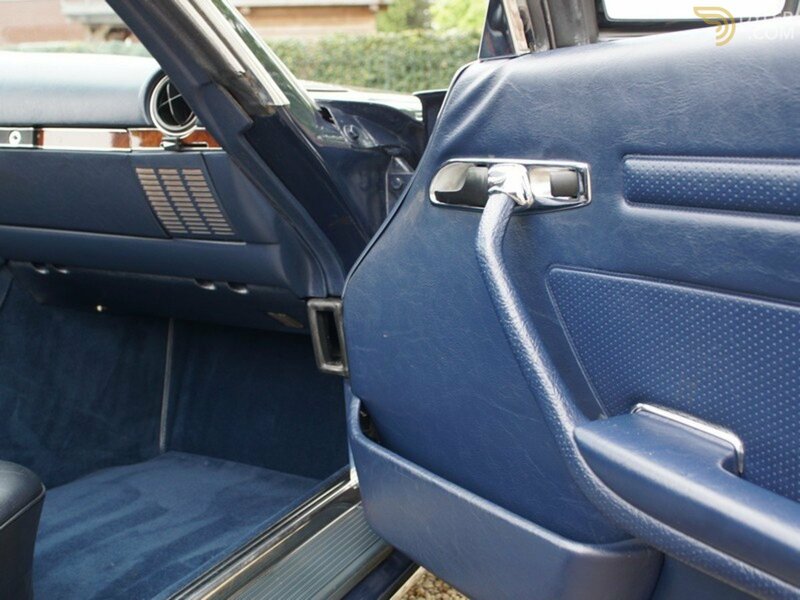 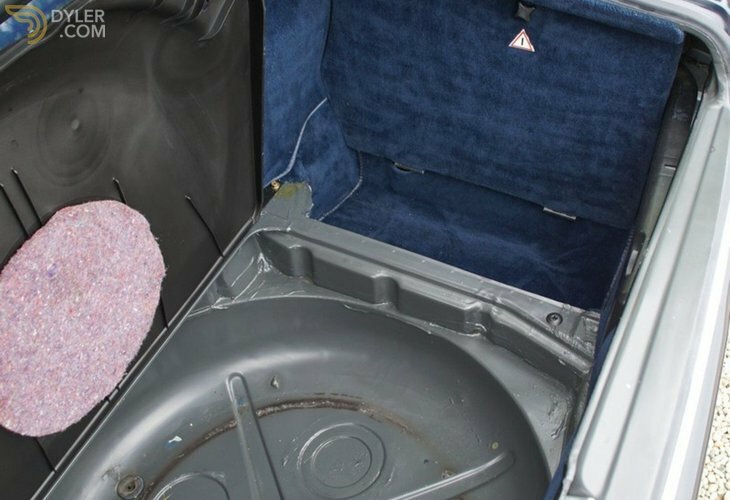 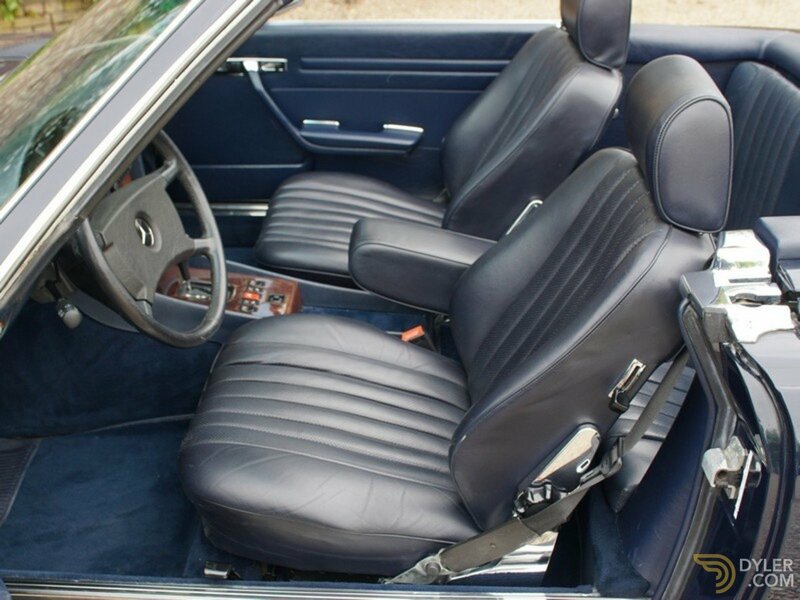 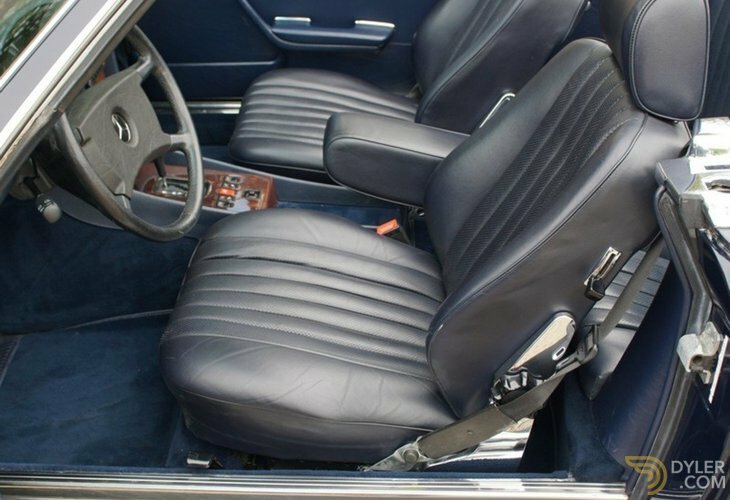 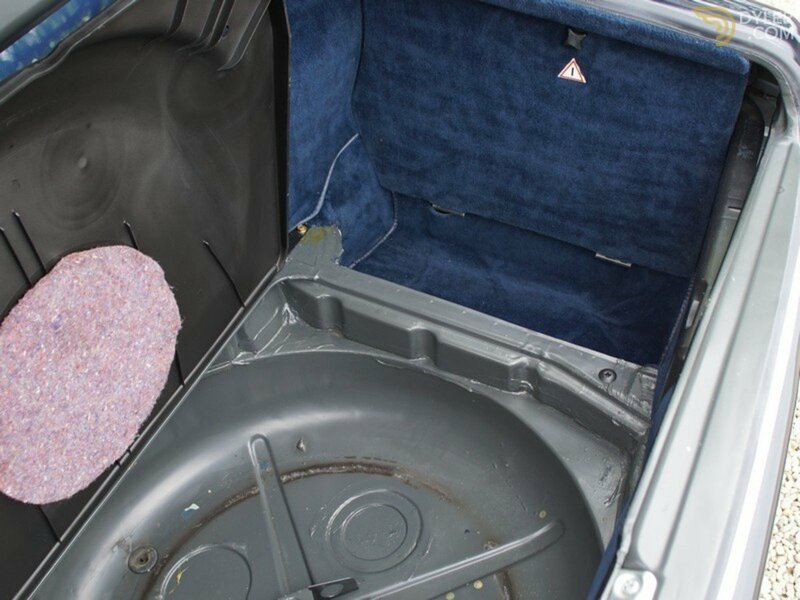 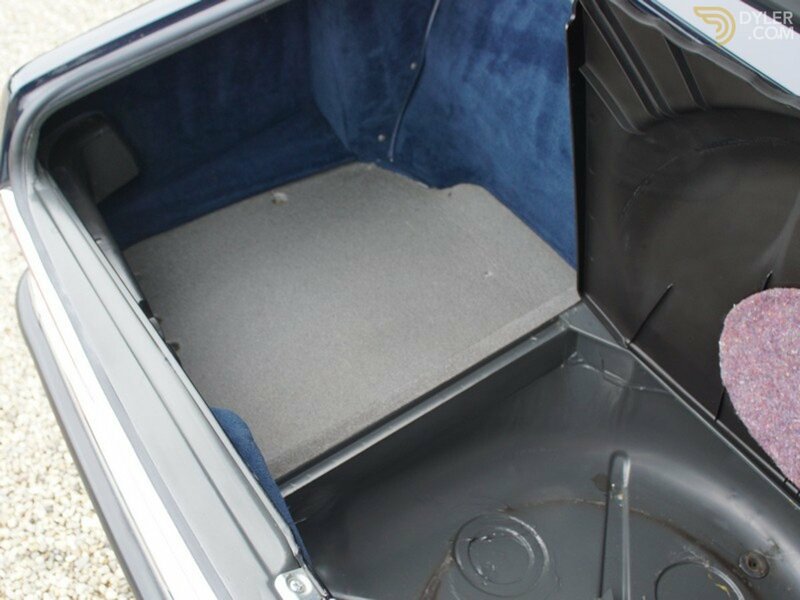 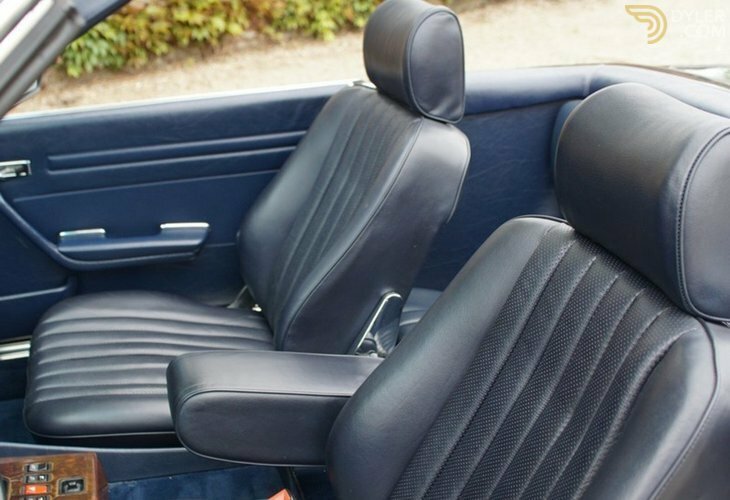 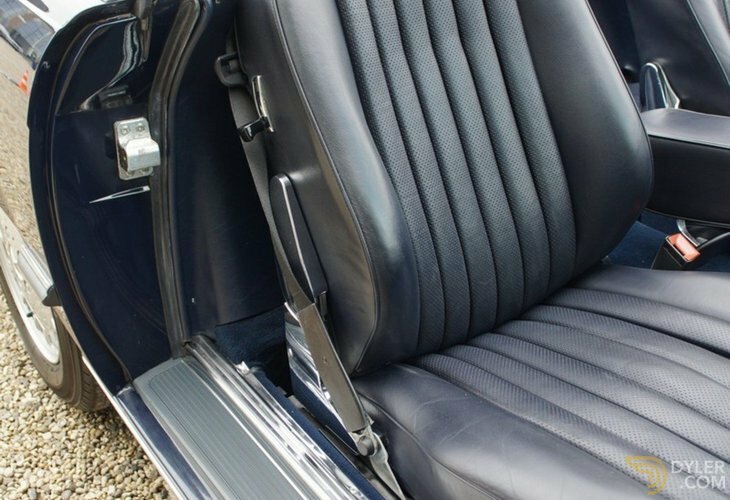 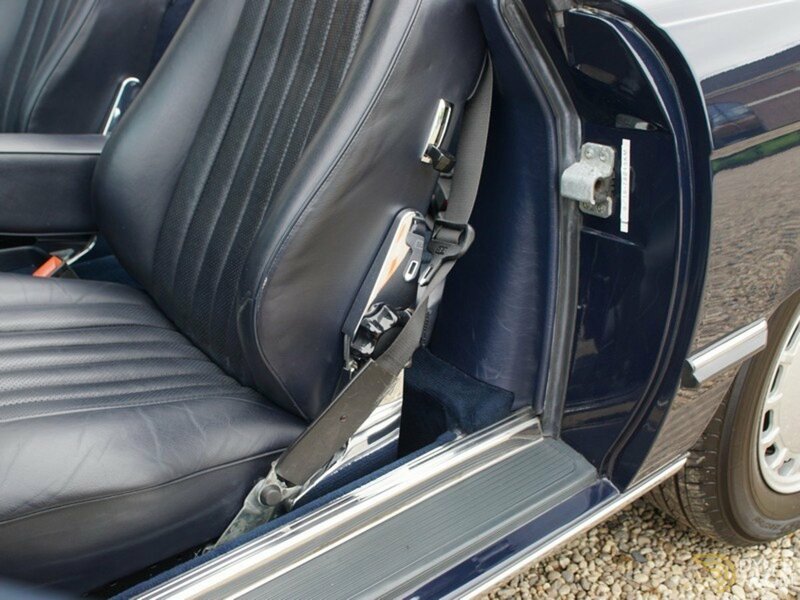 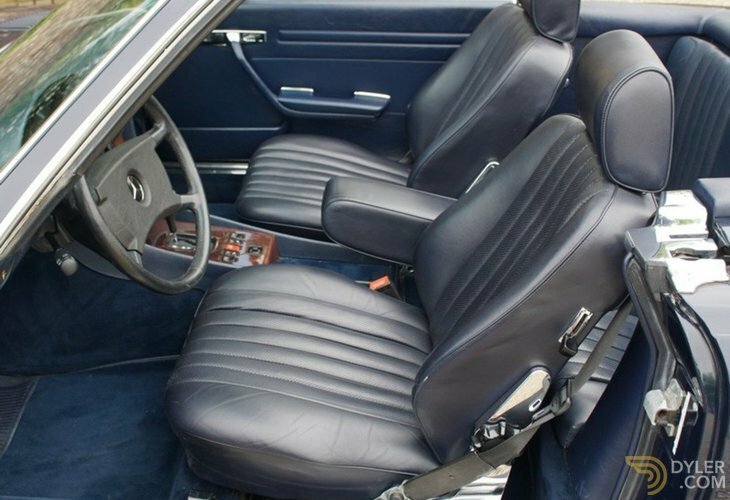 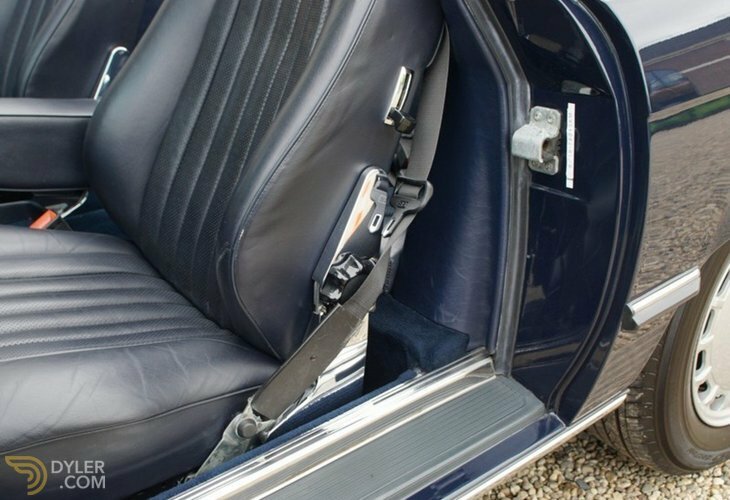 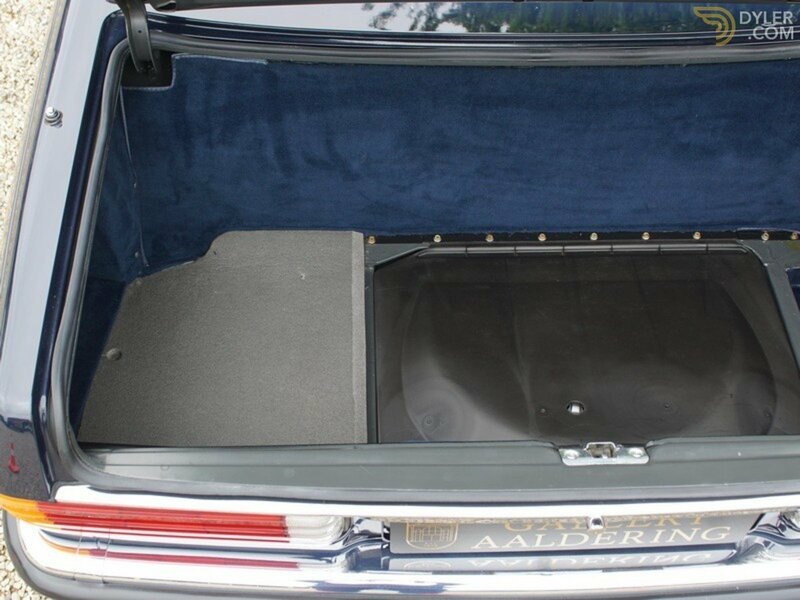 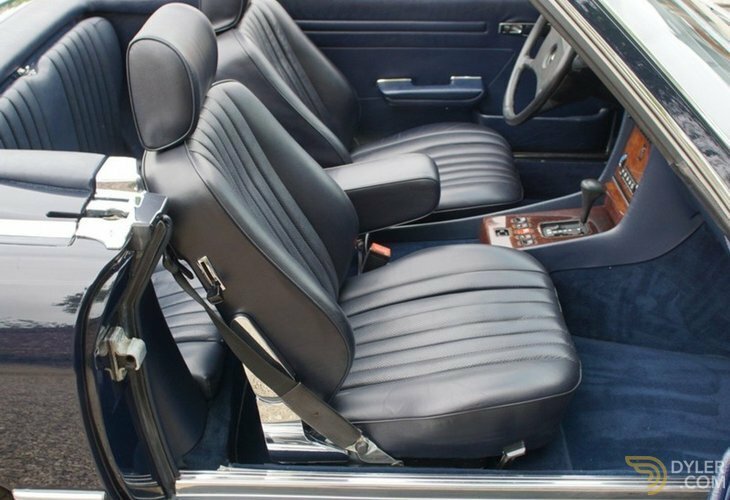 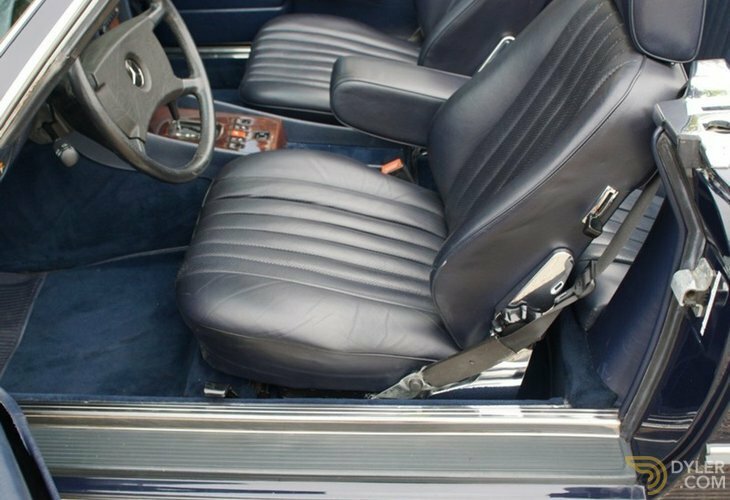 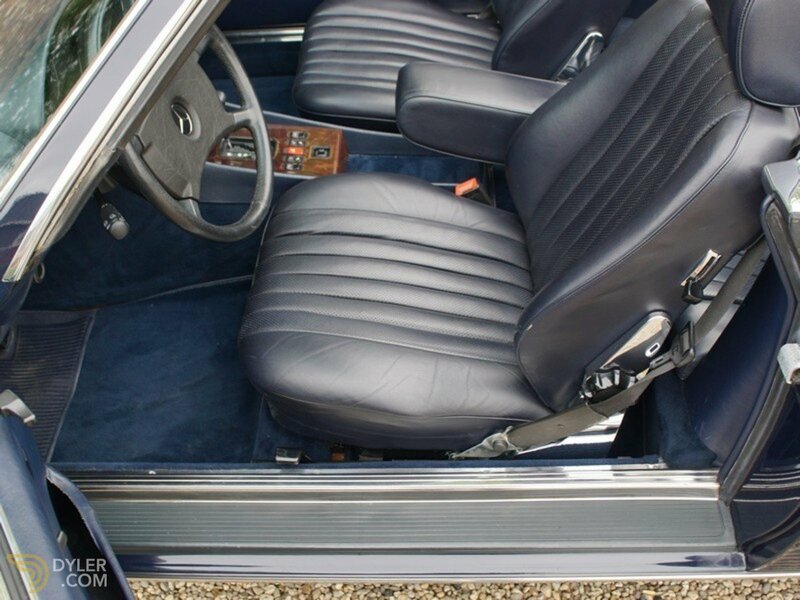 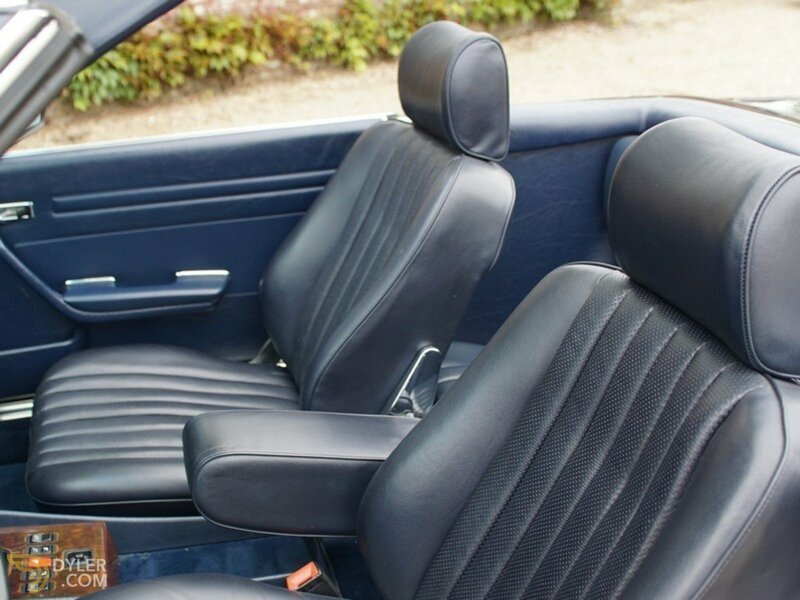 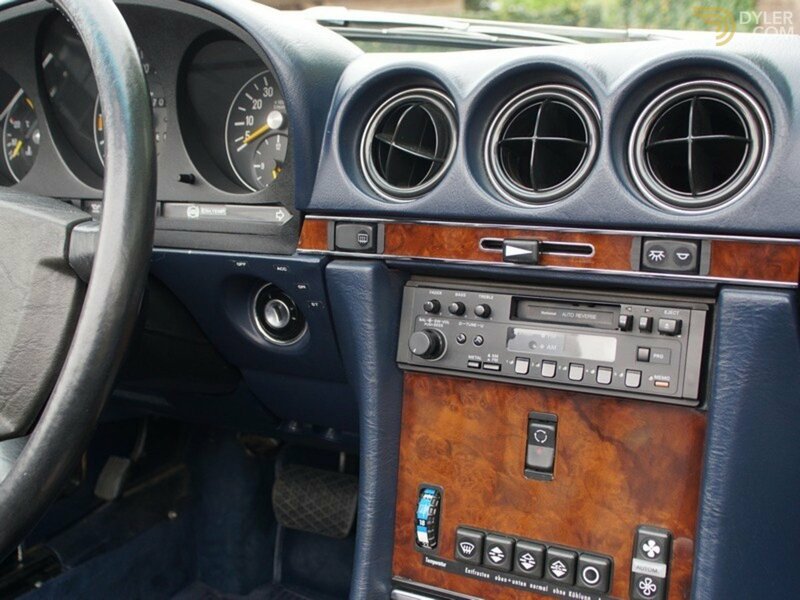 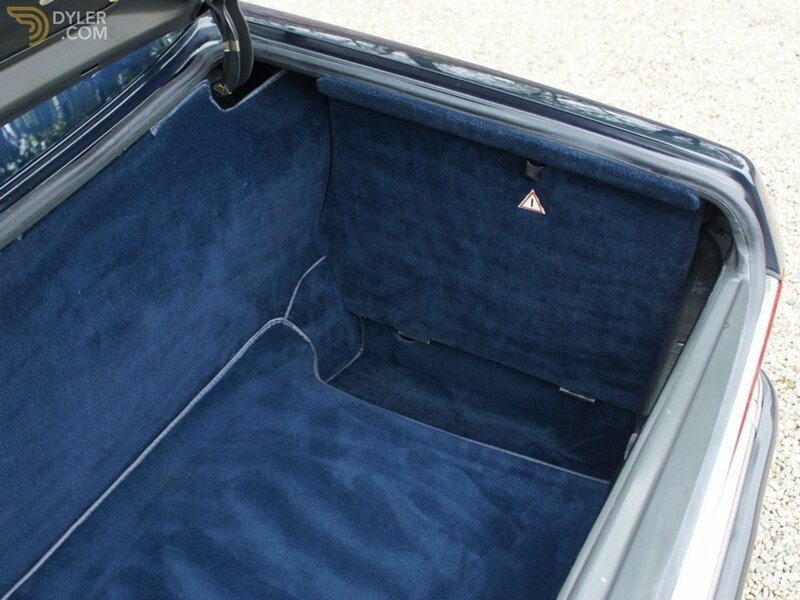 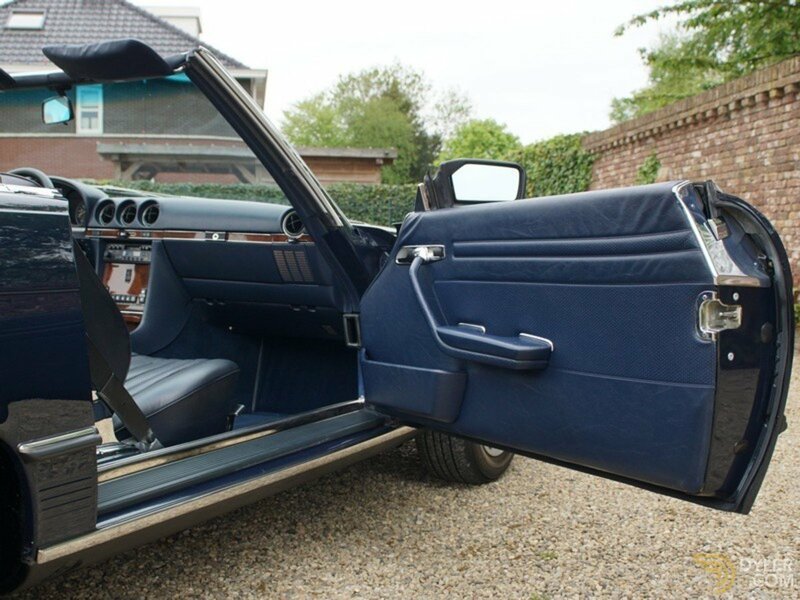 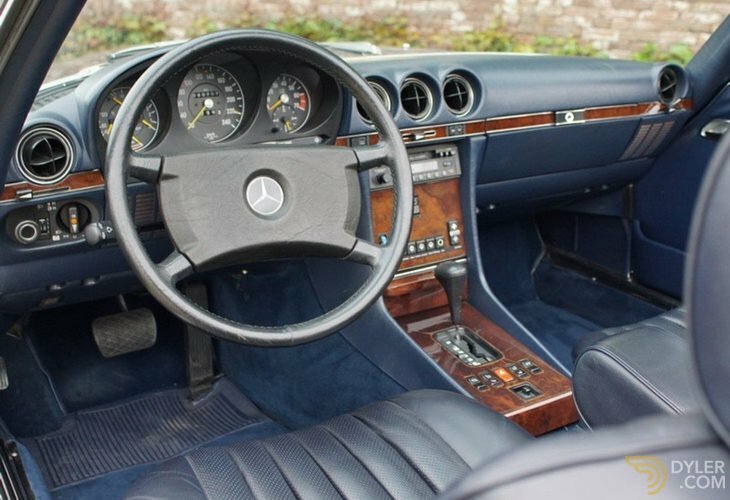 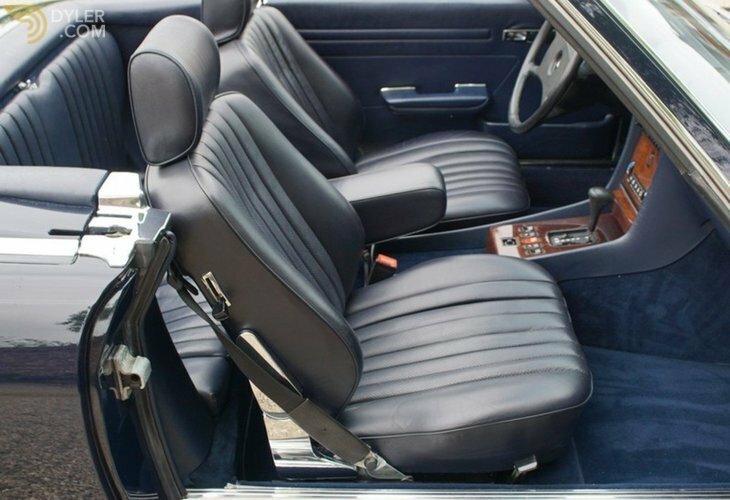 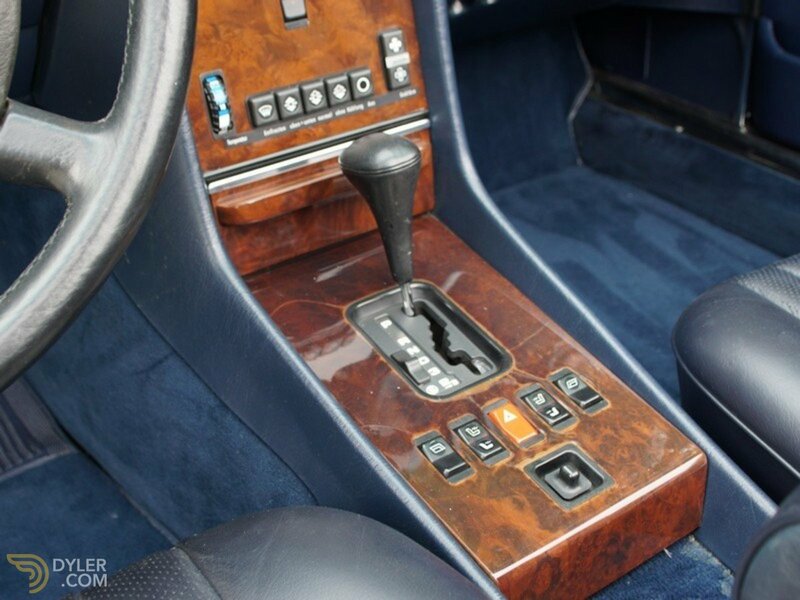 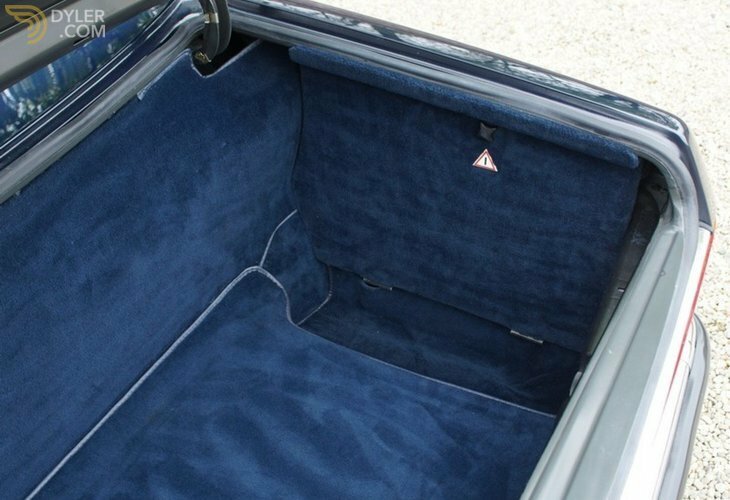 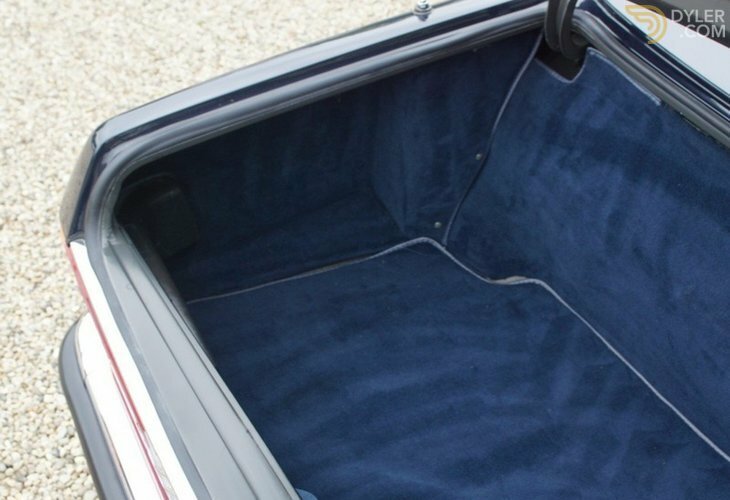 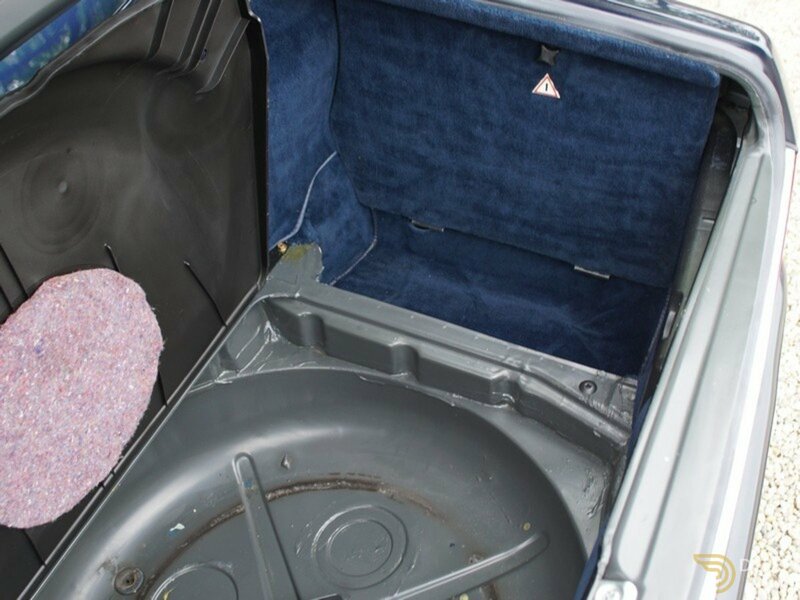 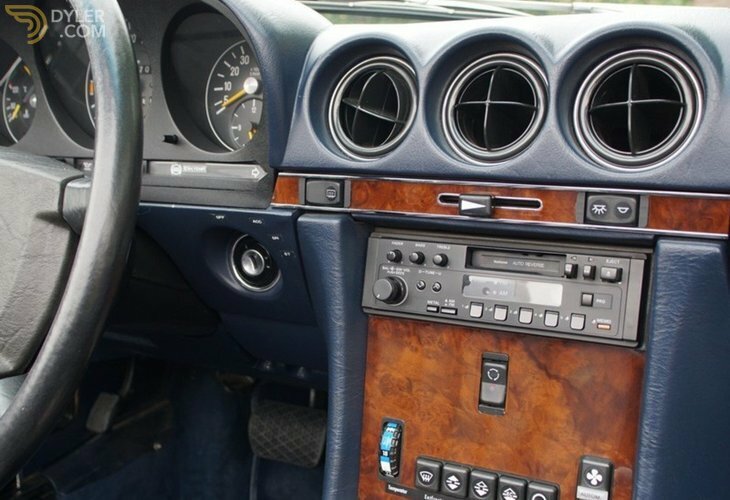 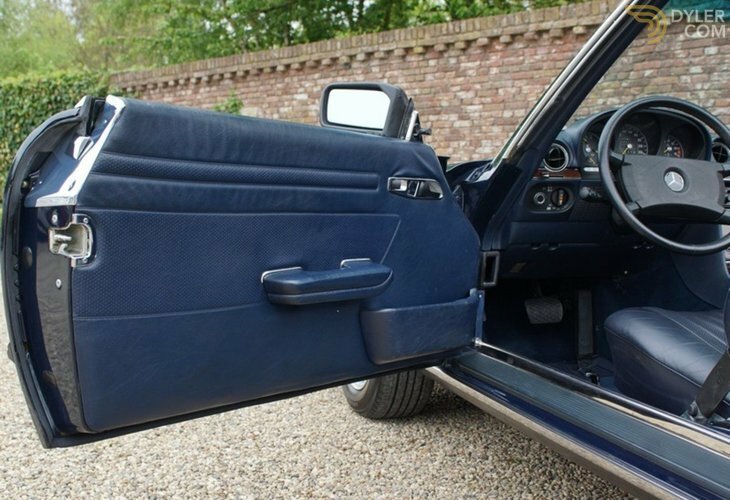 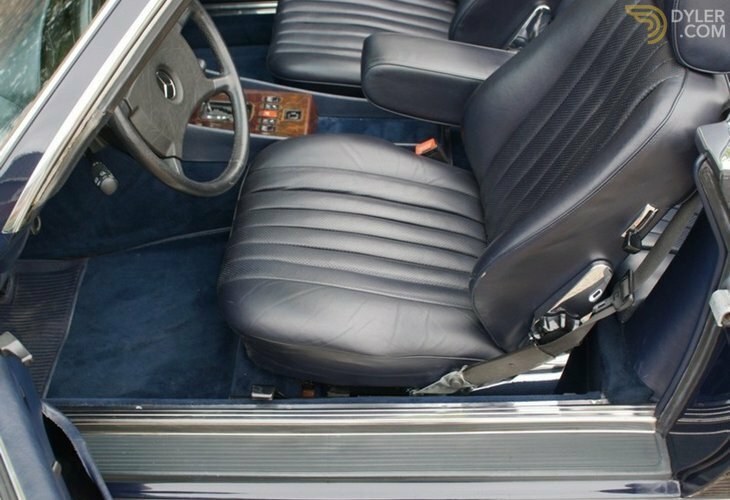 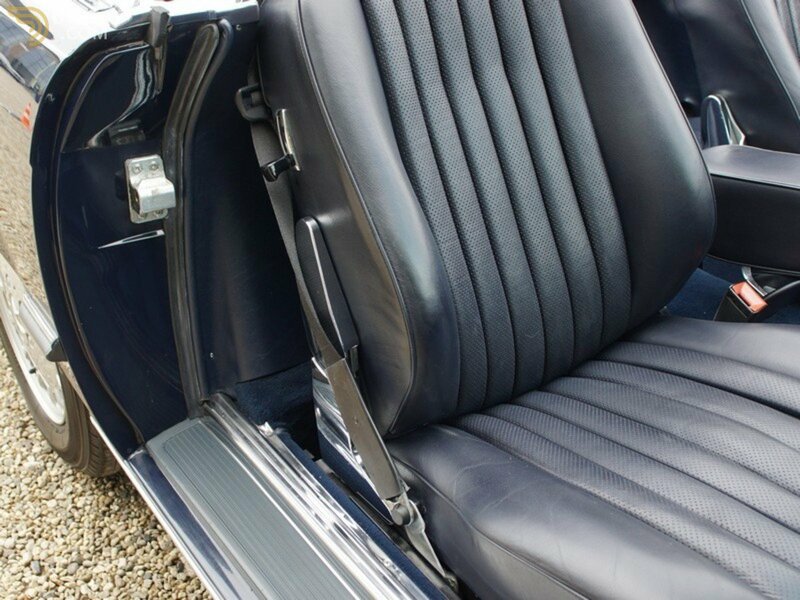 The interior is original and in a brand new condition. 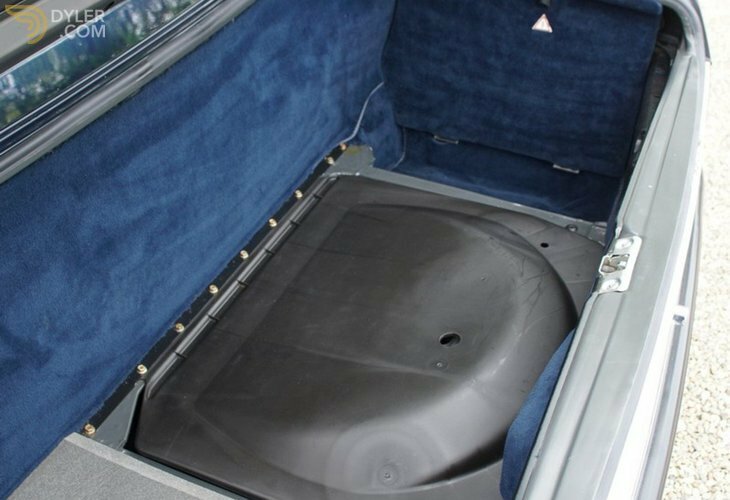 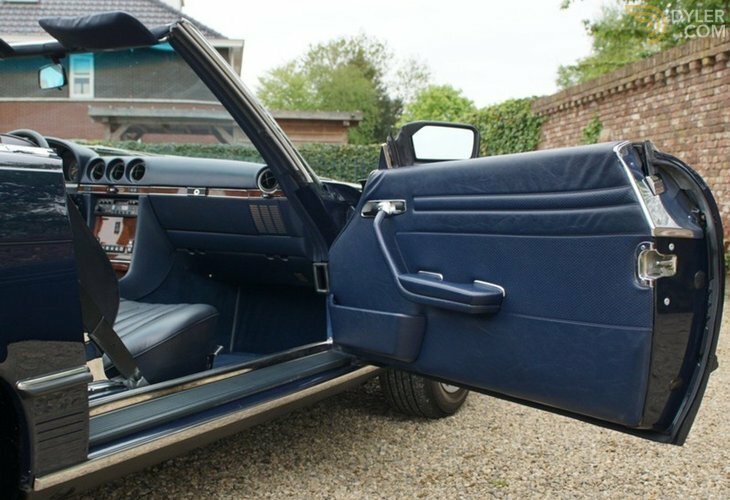 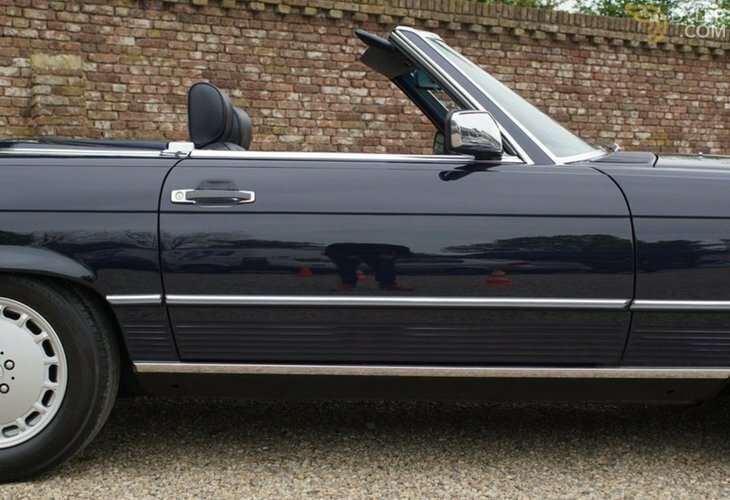 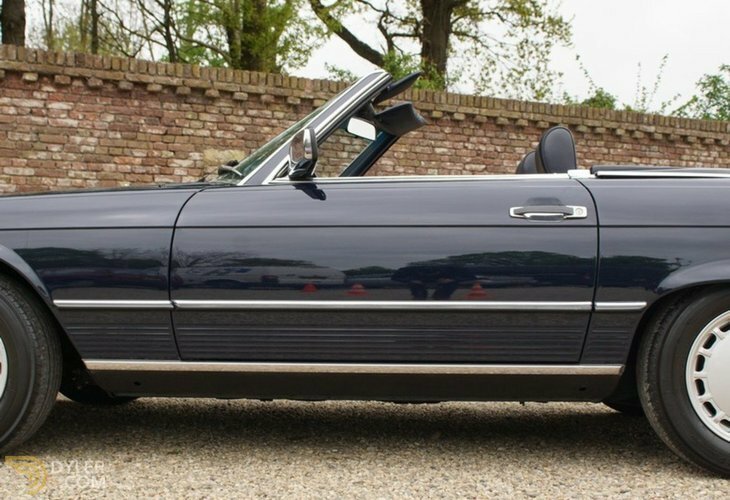 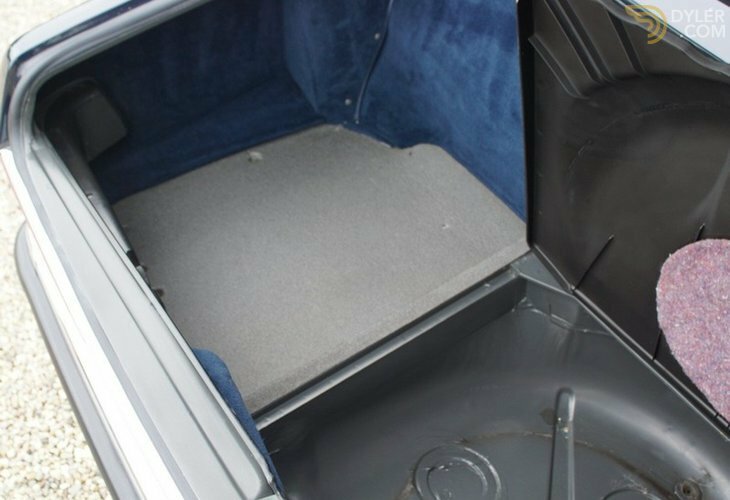 Equipped with all modern luxury such as: cruise control, airco, electric adjustable outside mirror, heated seats and electric windows. 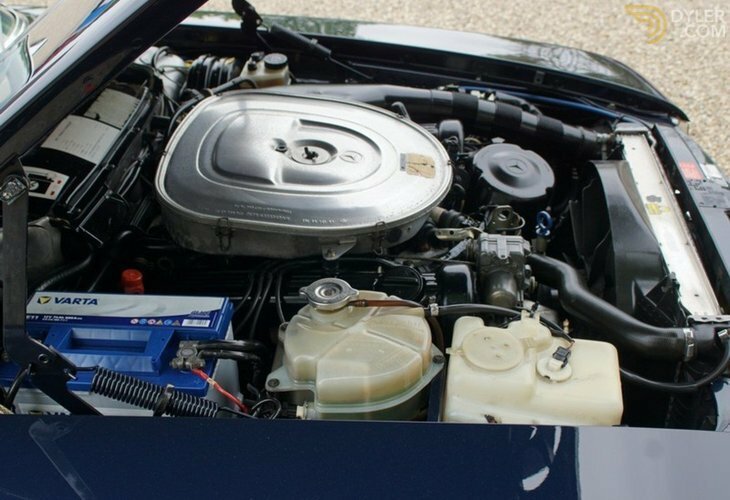 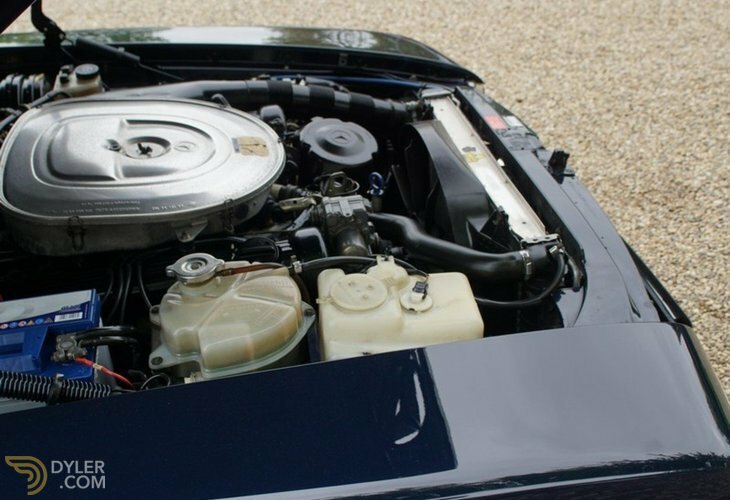 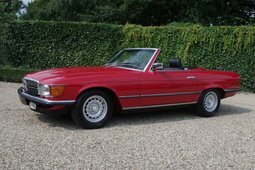 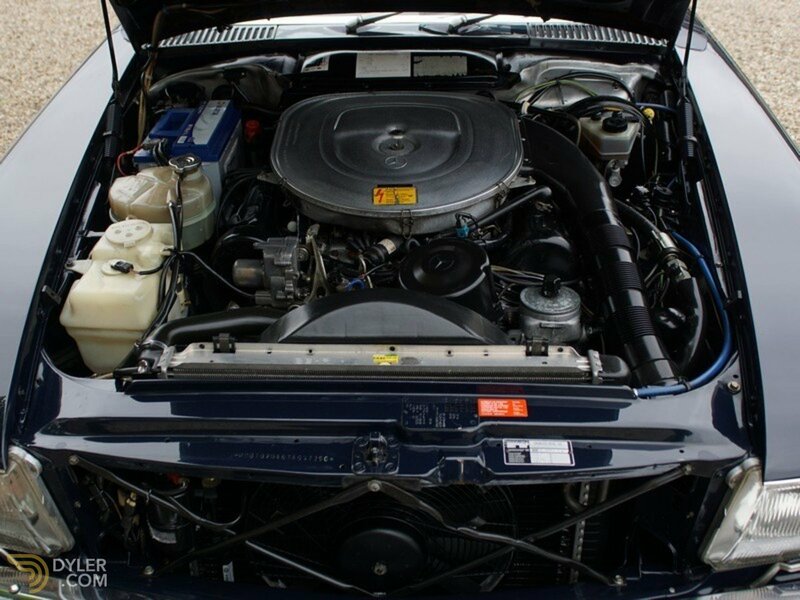 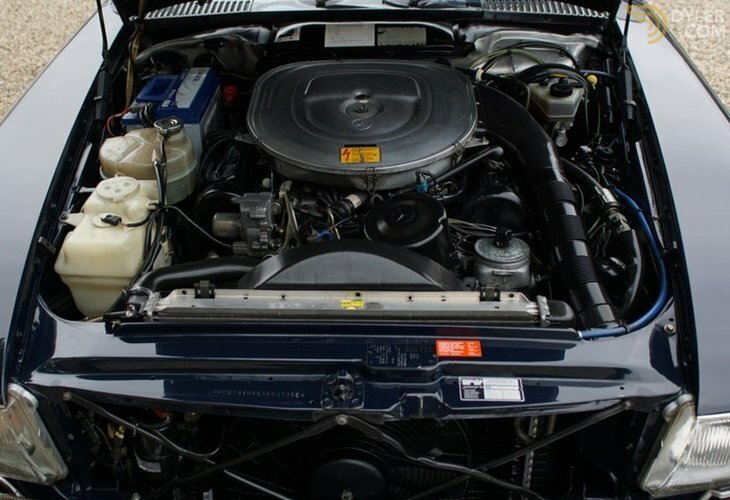 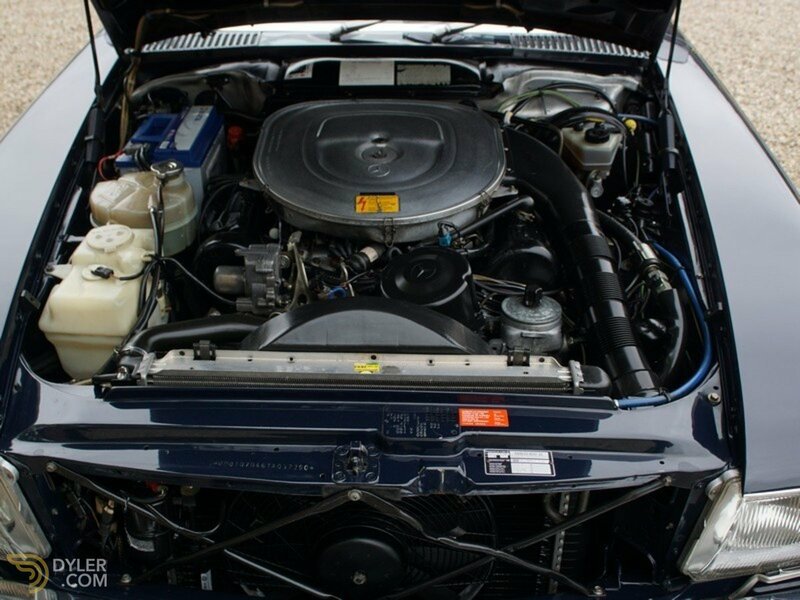 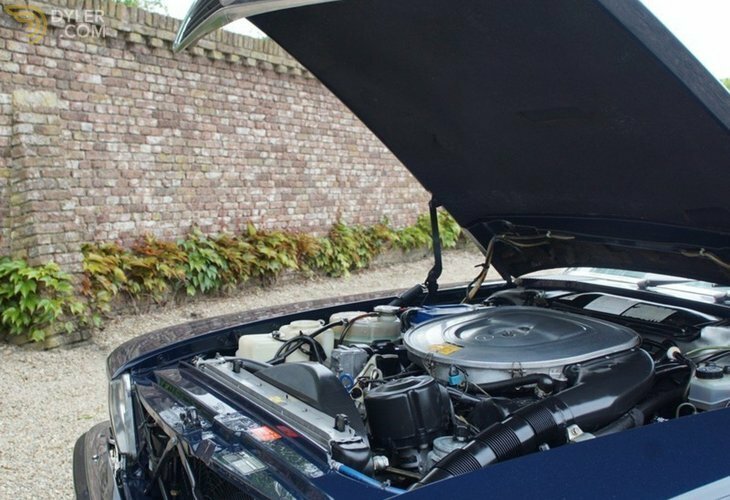 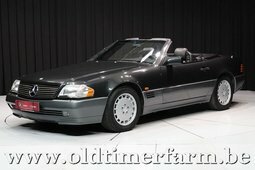 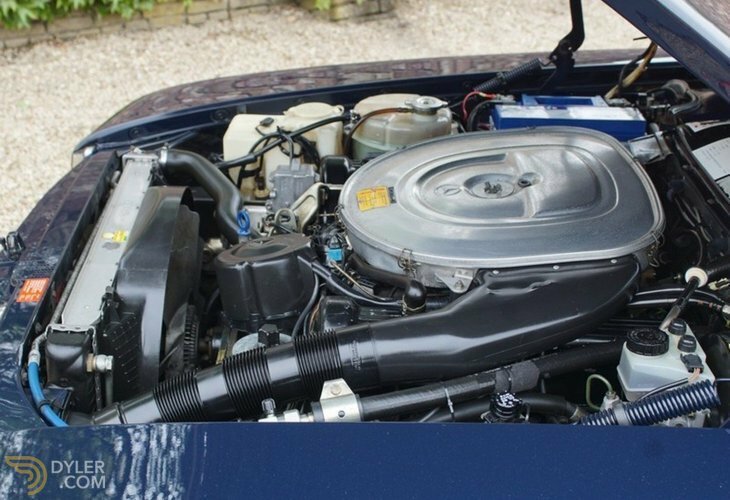 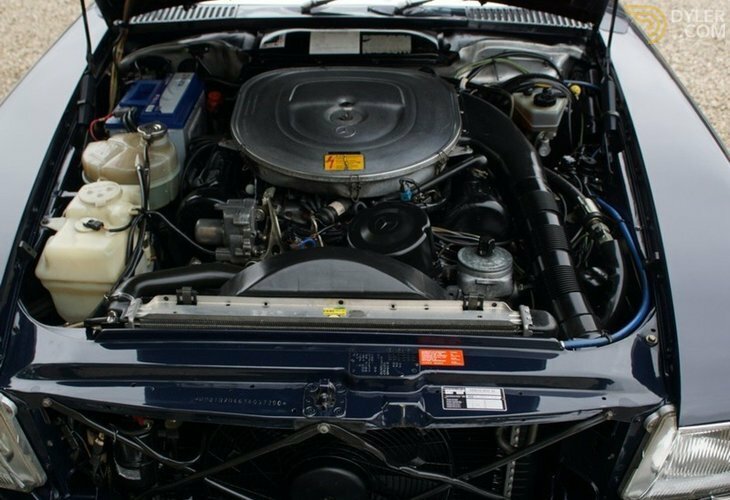 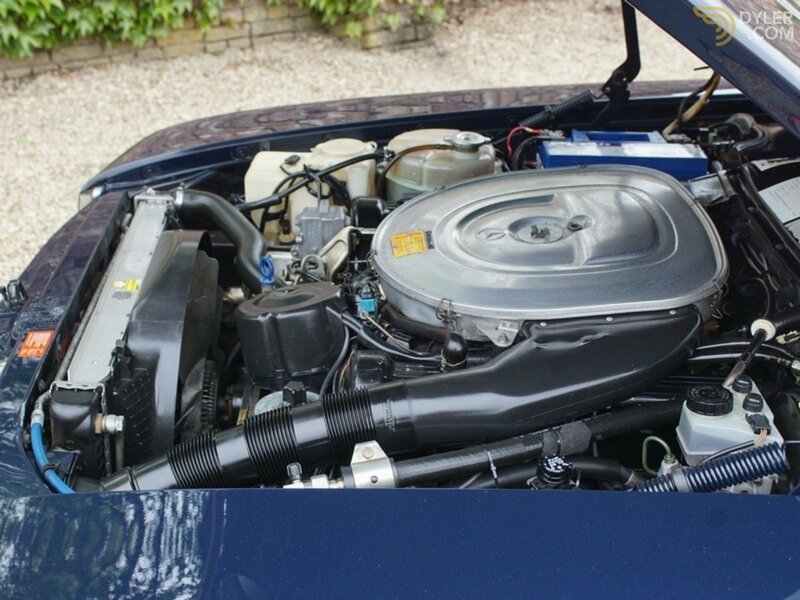 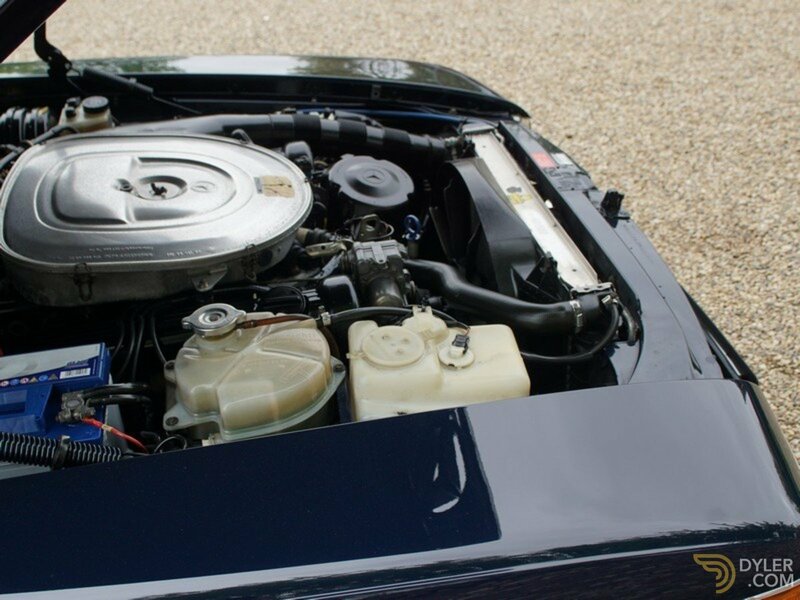 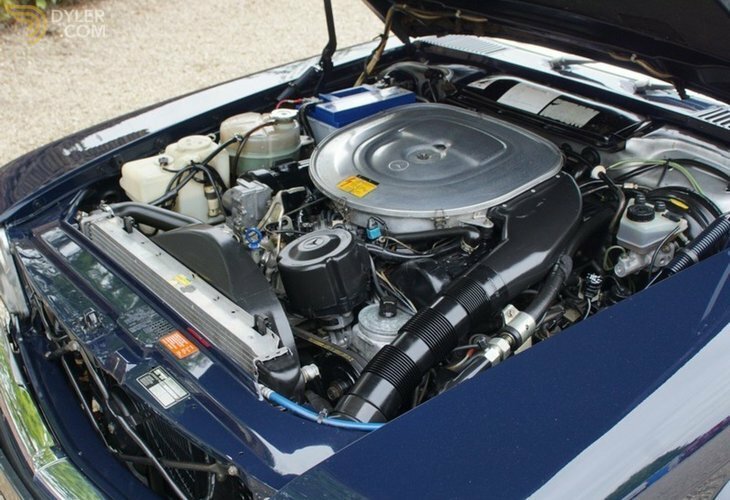 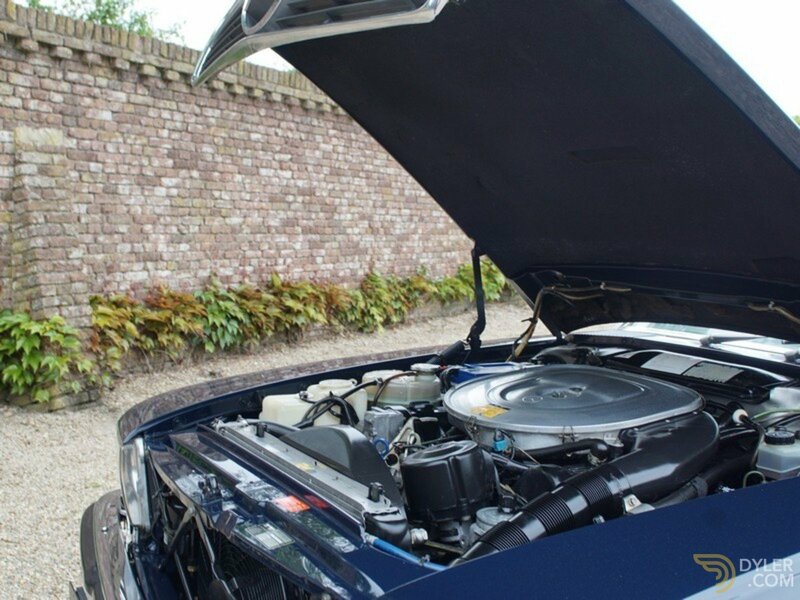 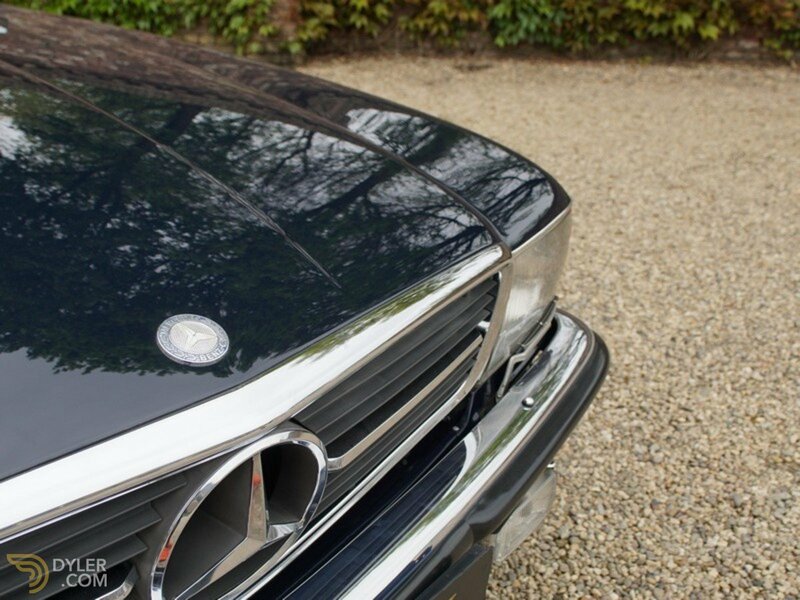 Top quality 500 SL with a low mileage!